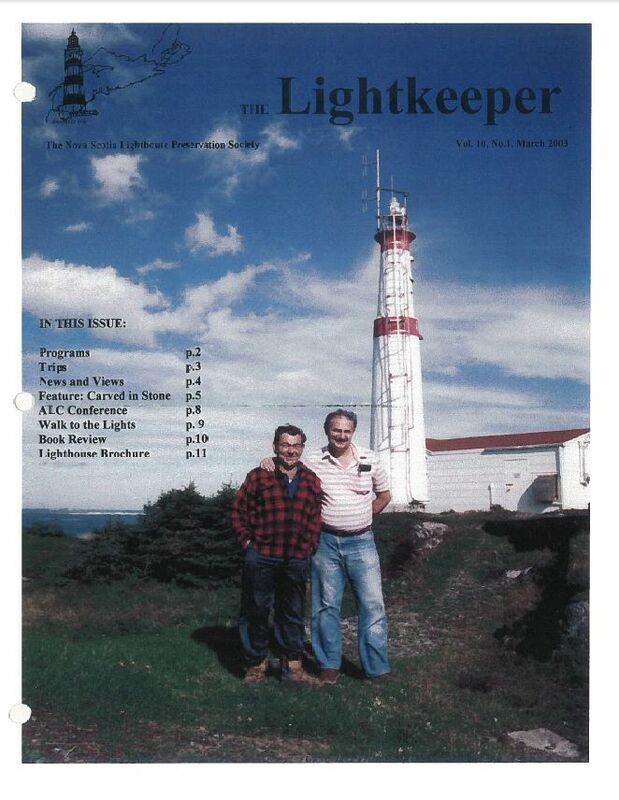 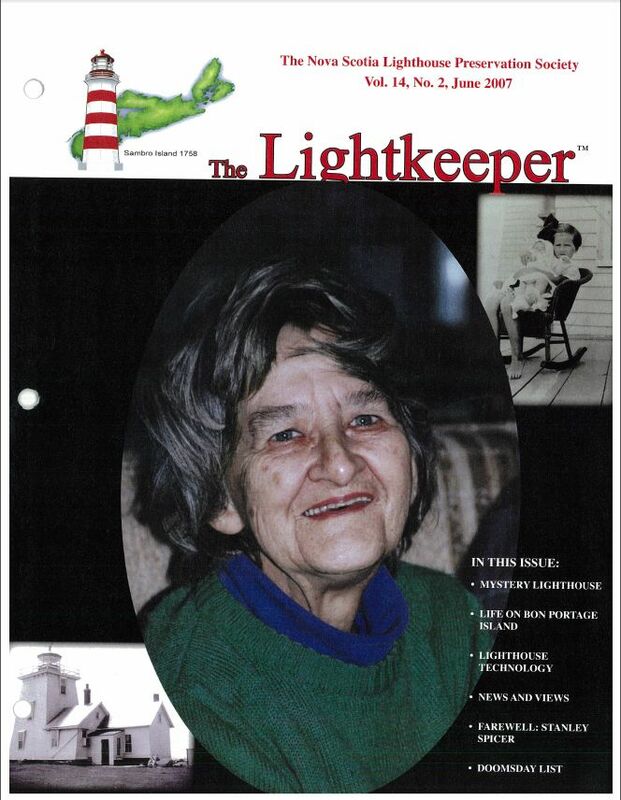 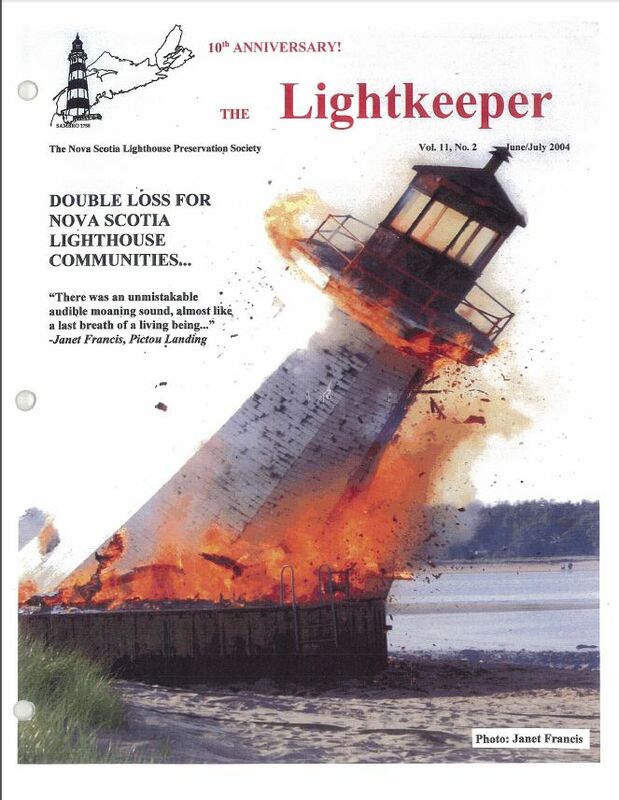 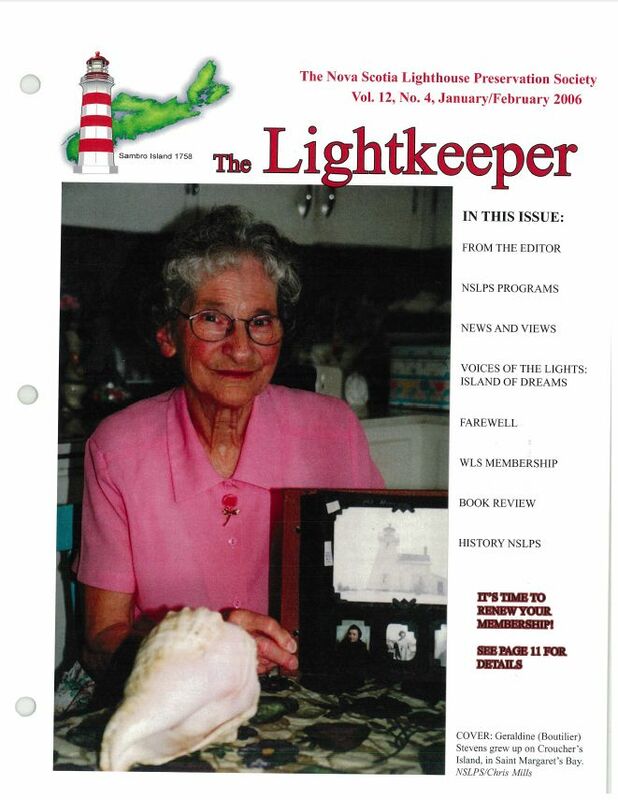 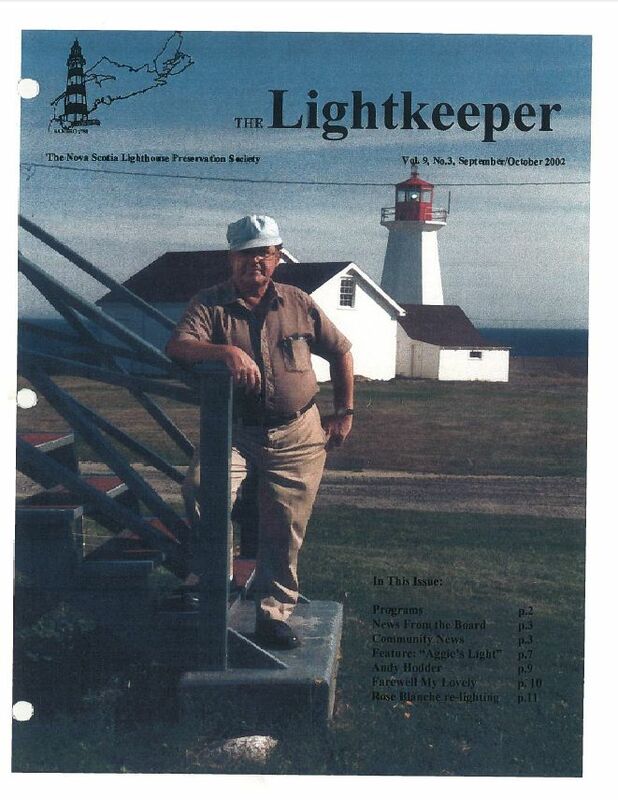 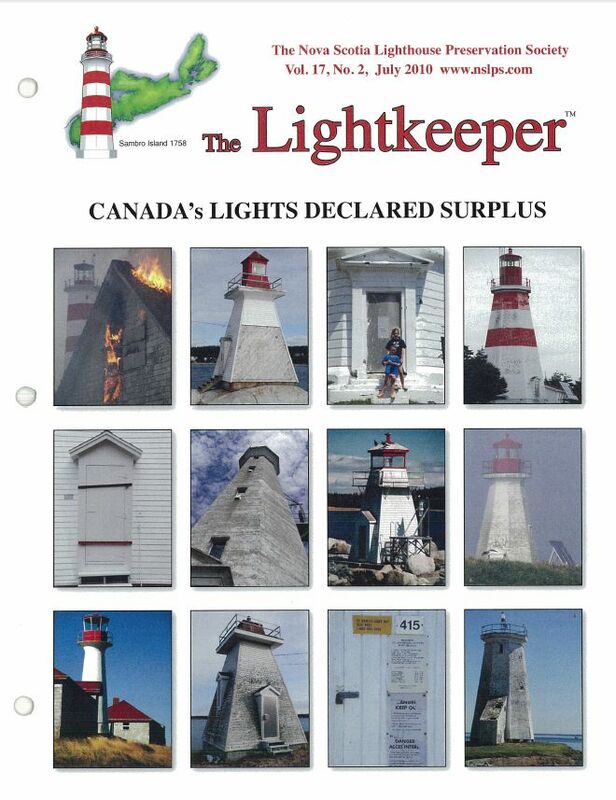 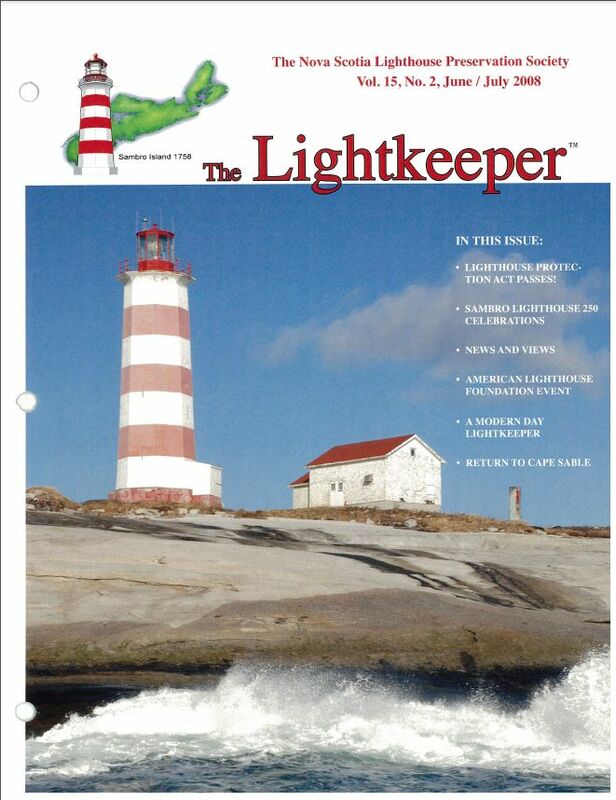 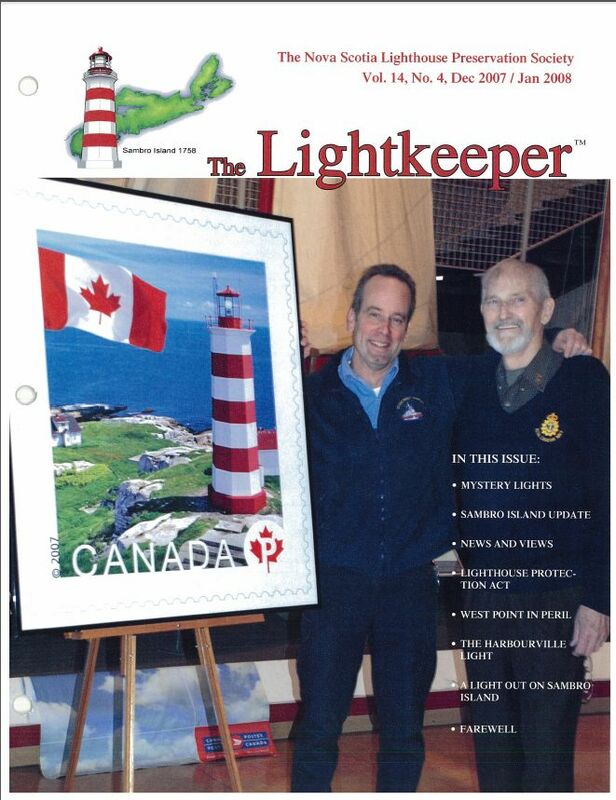 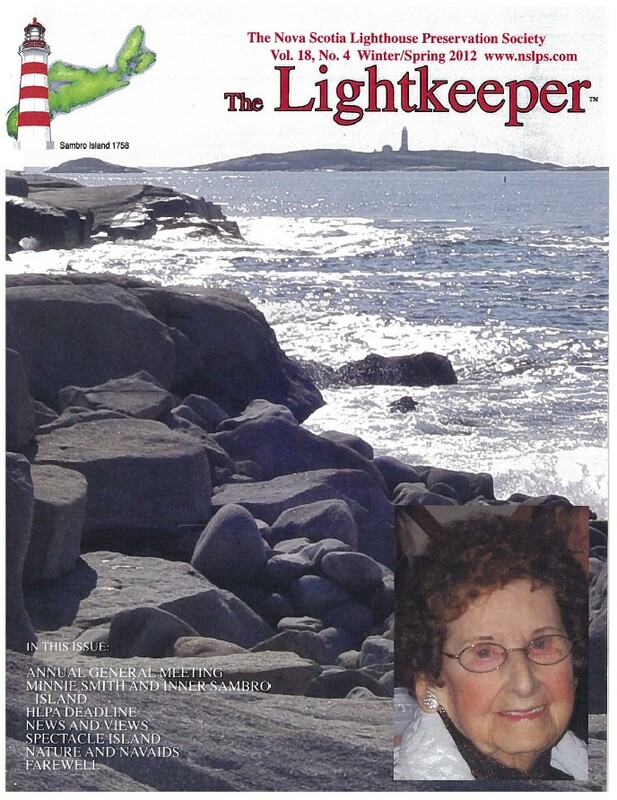 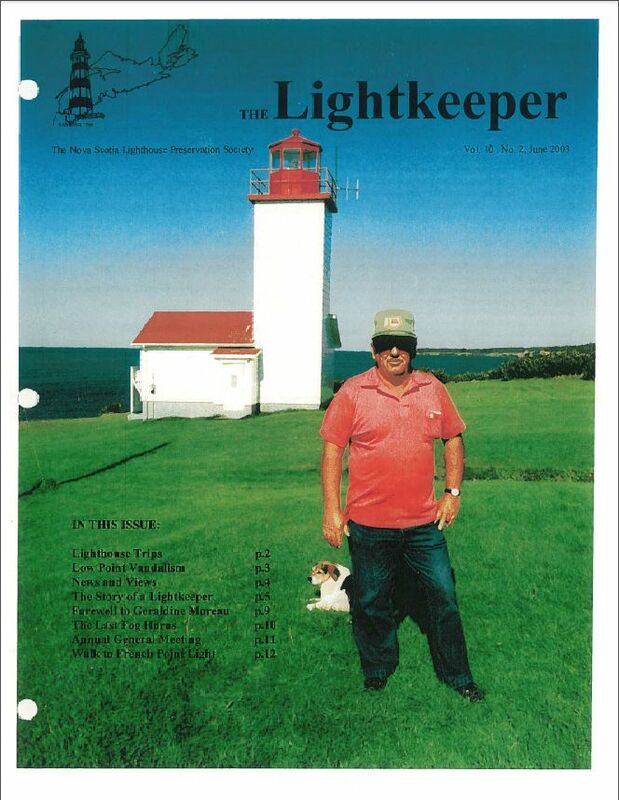 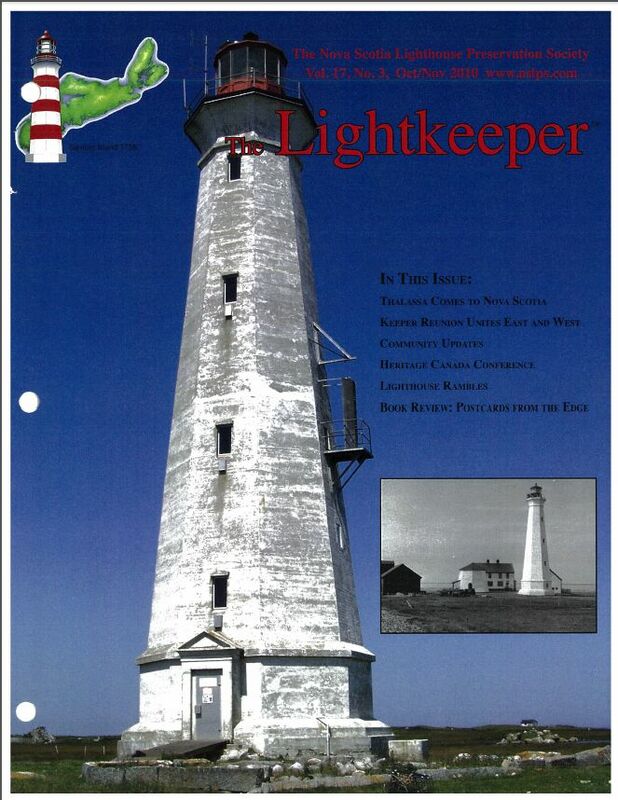 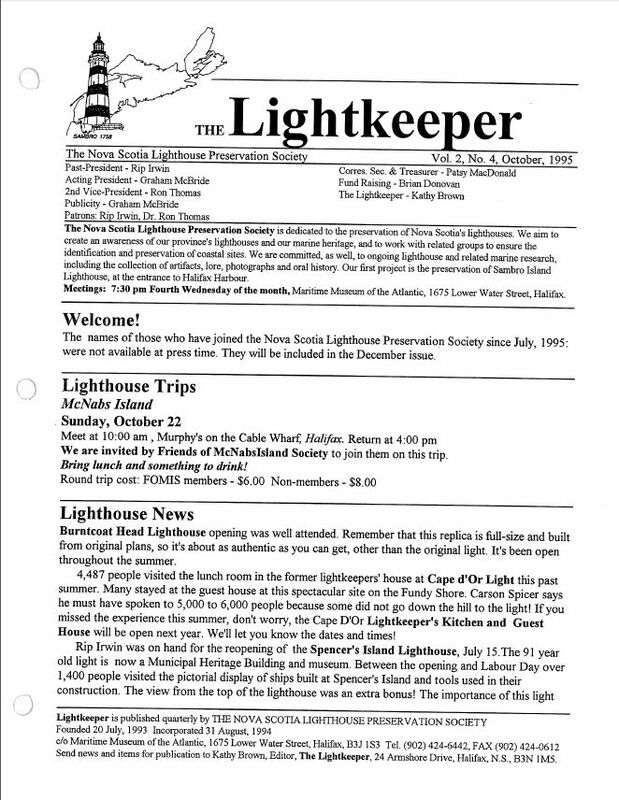 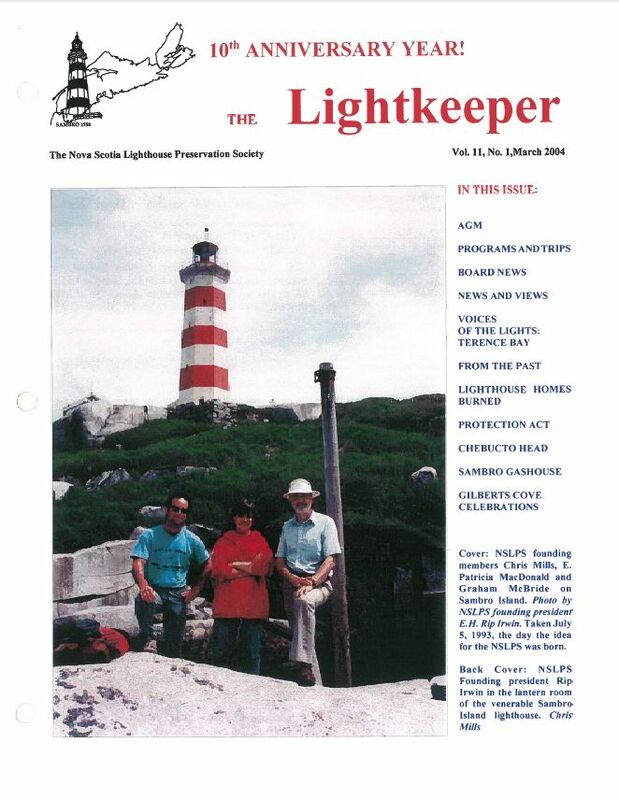 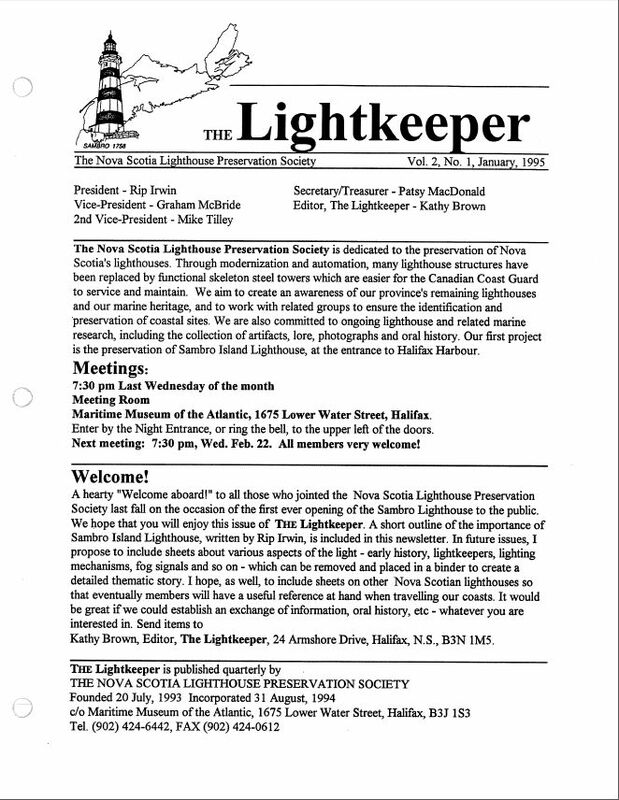 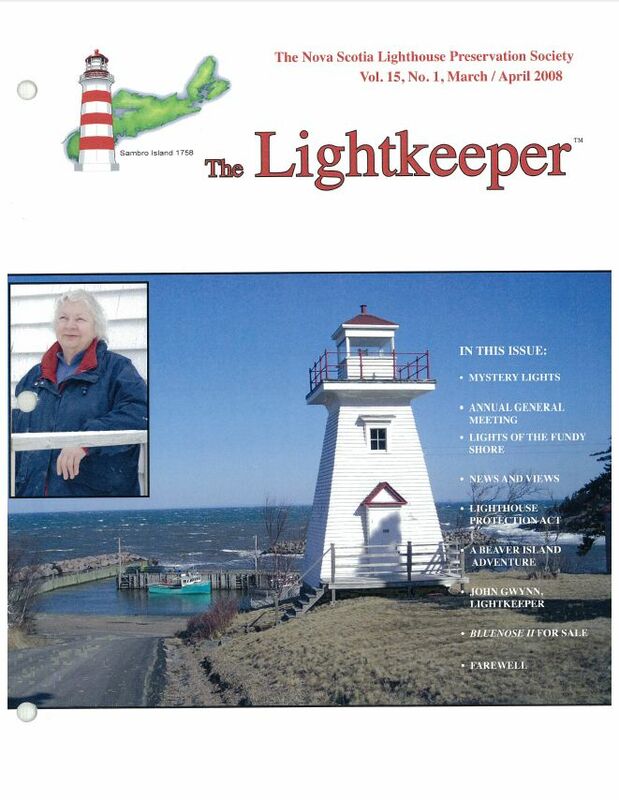 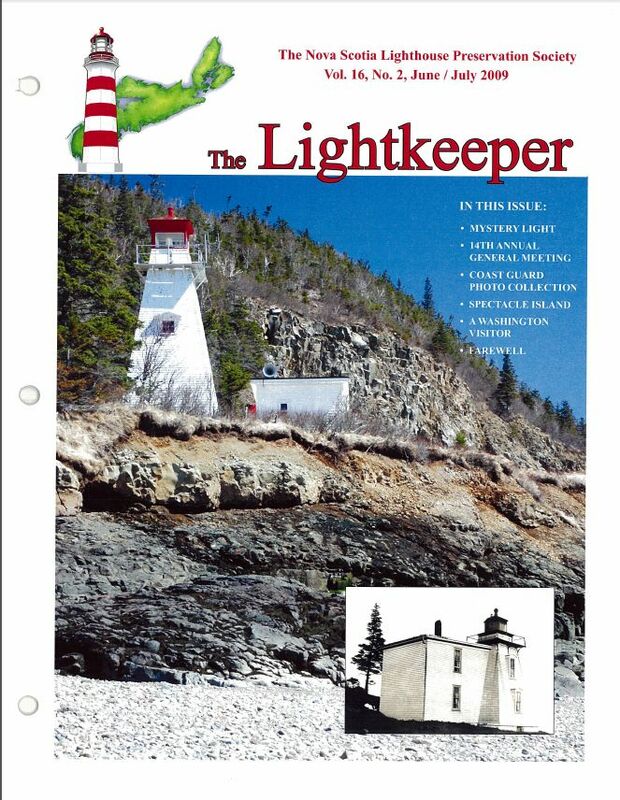 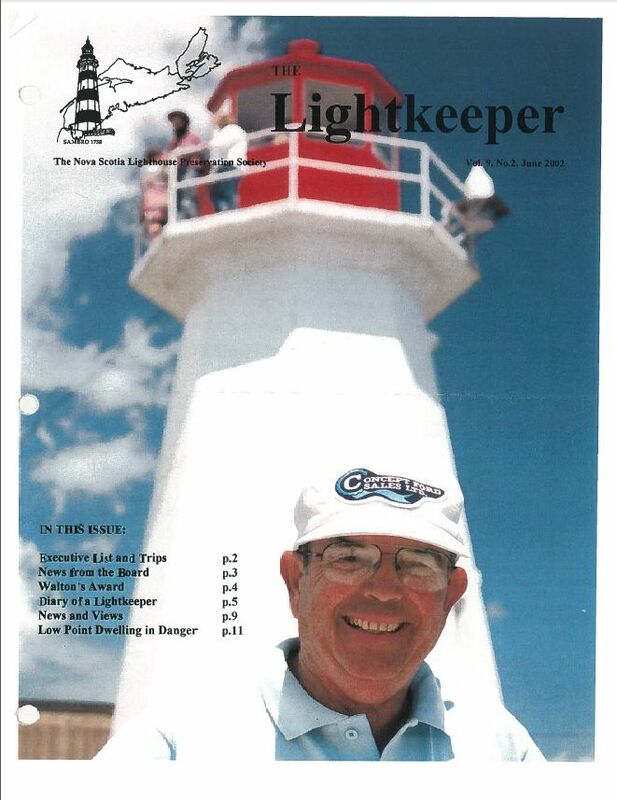 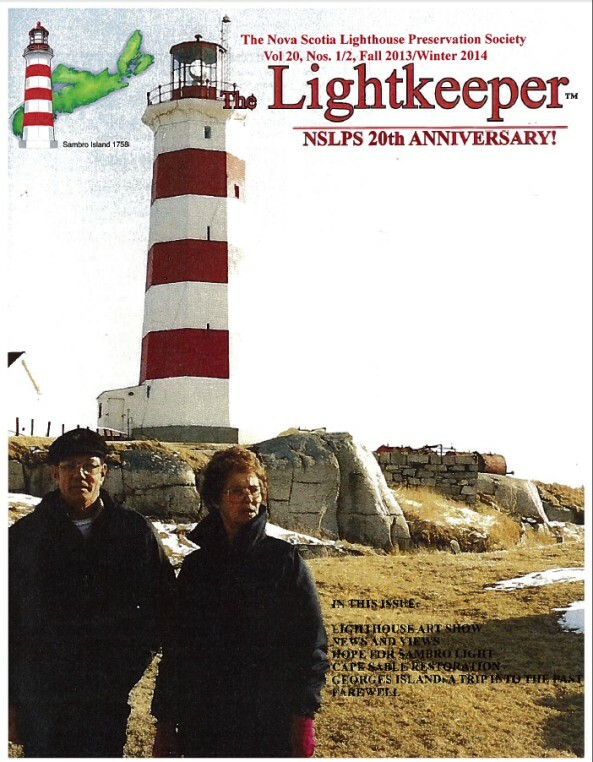 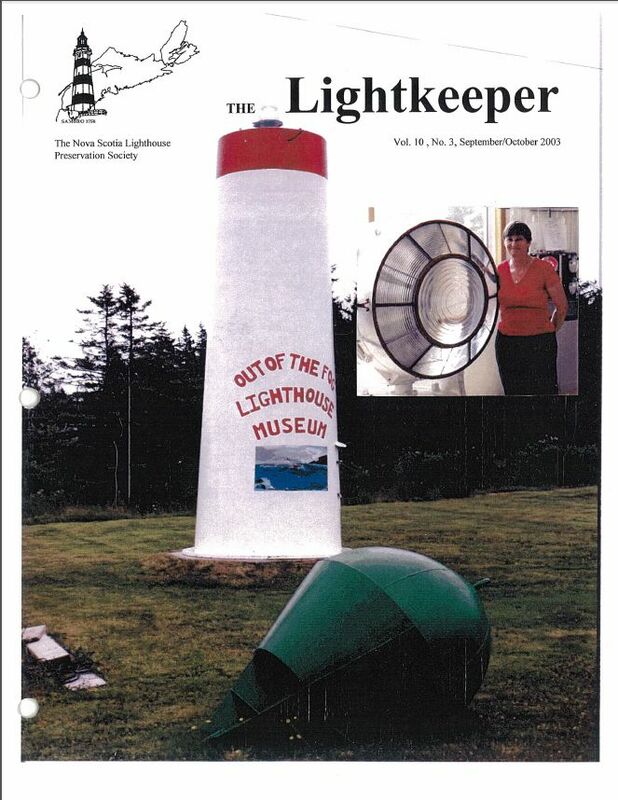 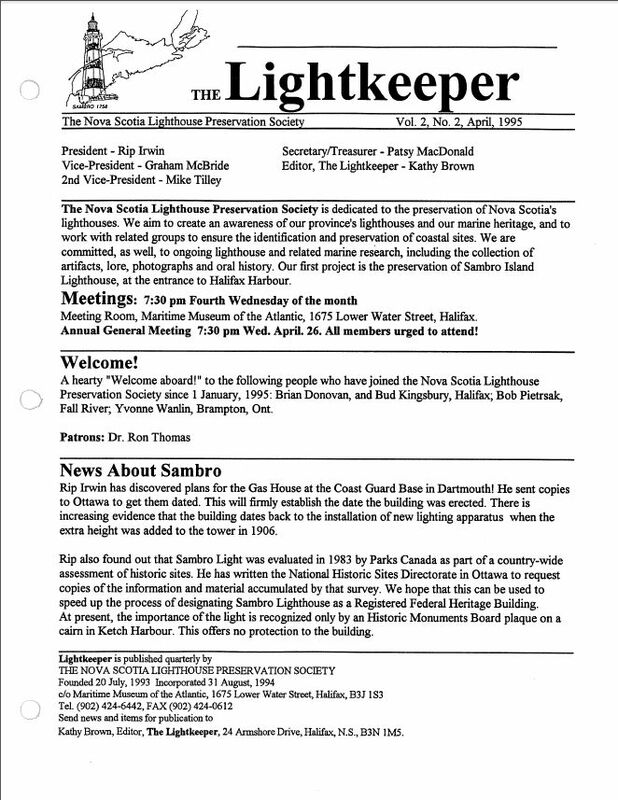 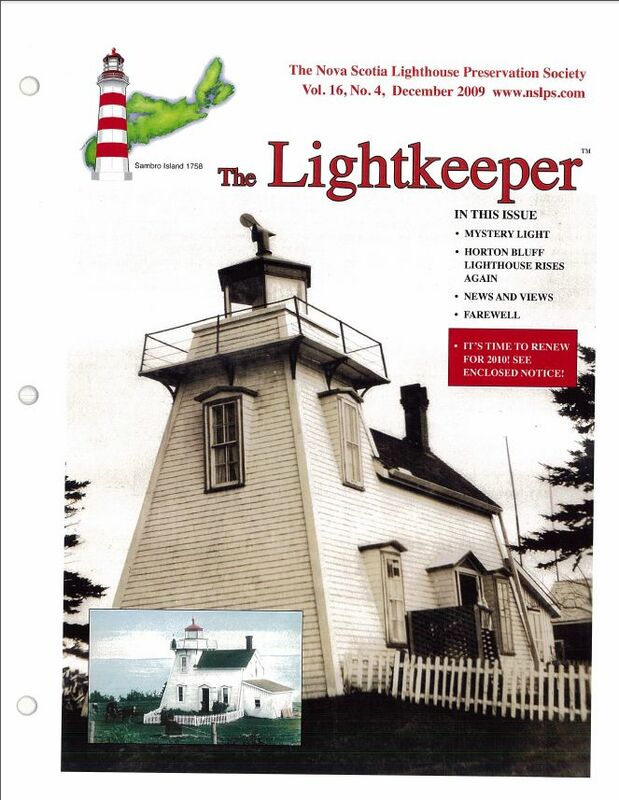 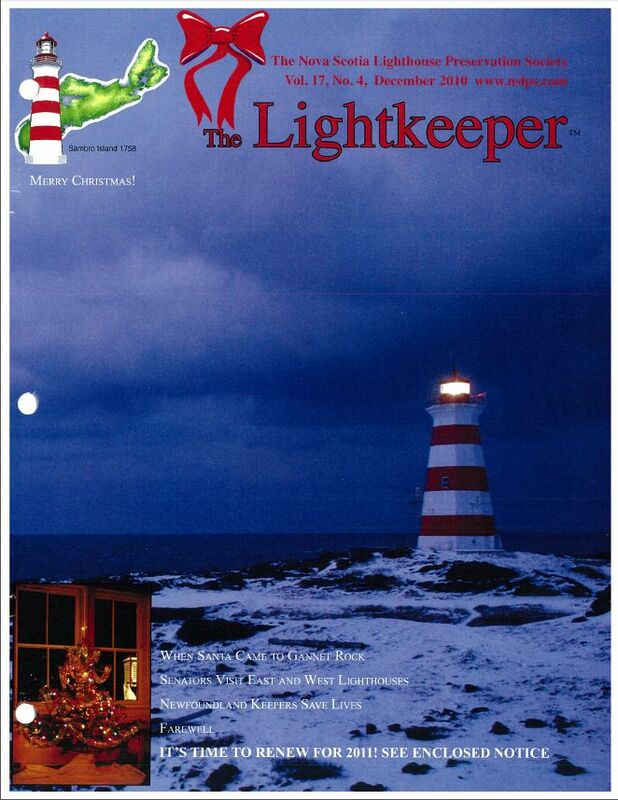 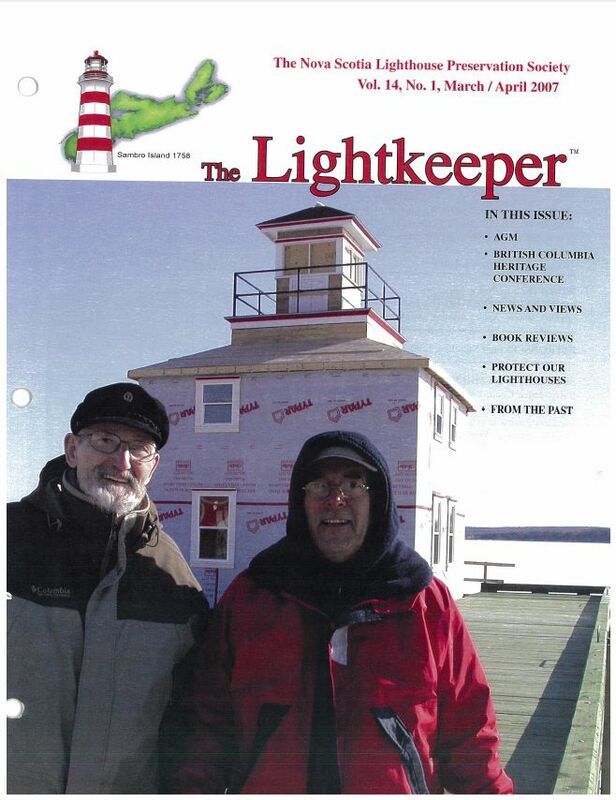 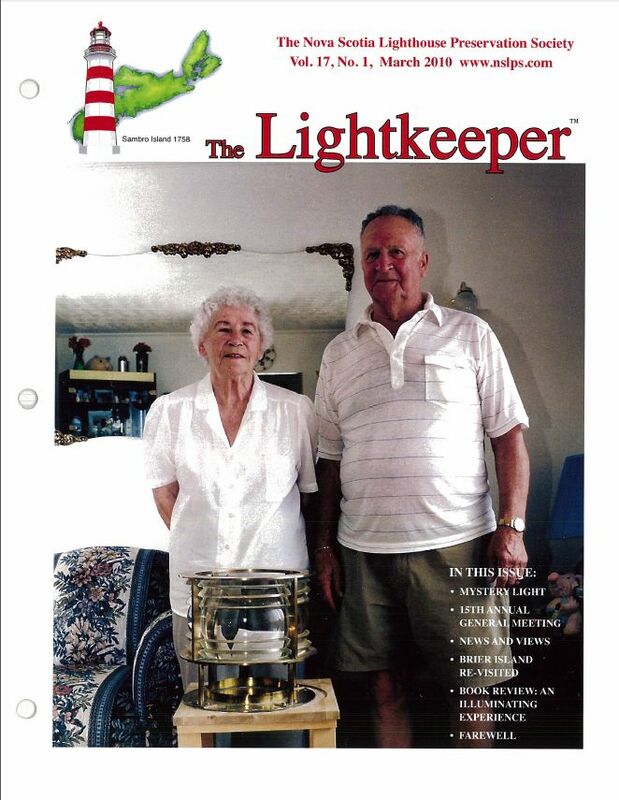 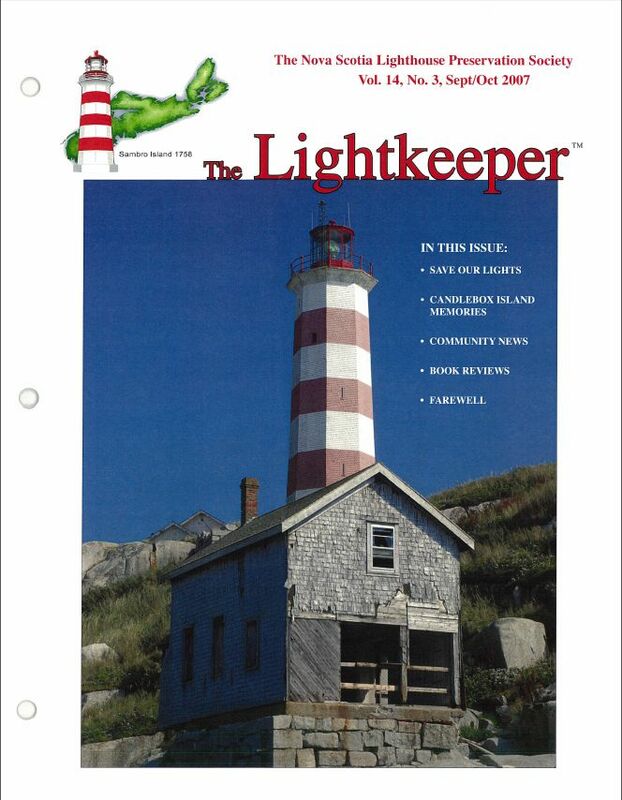 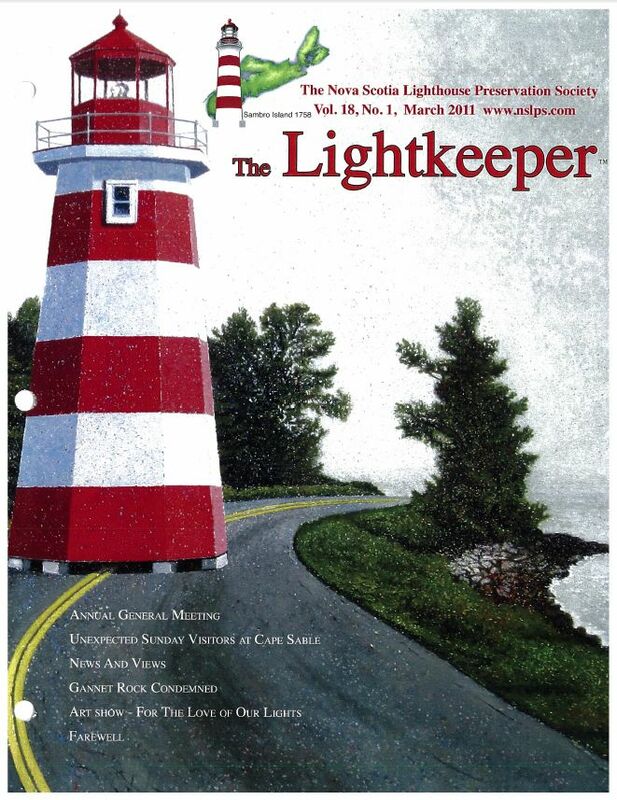 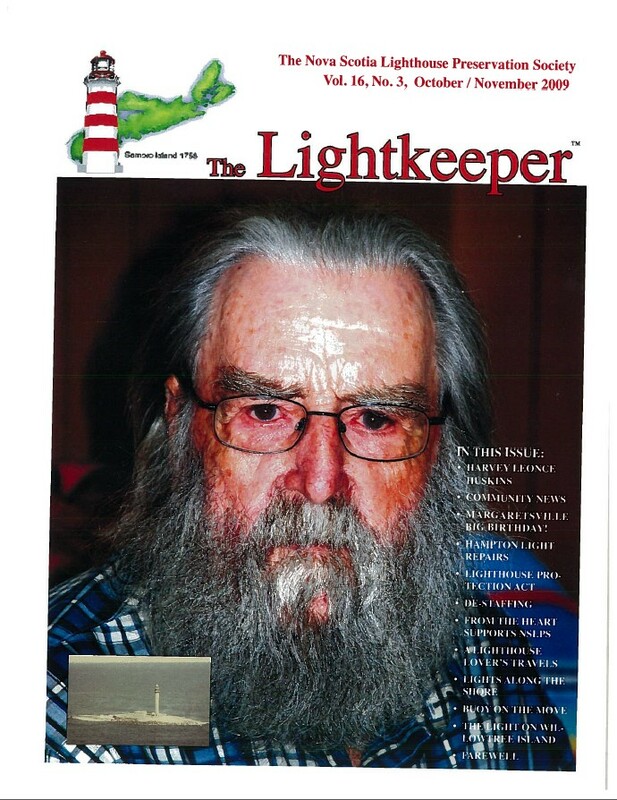 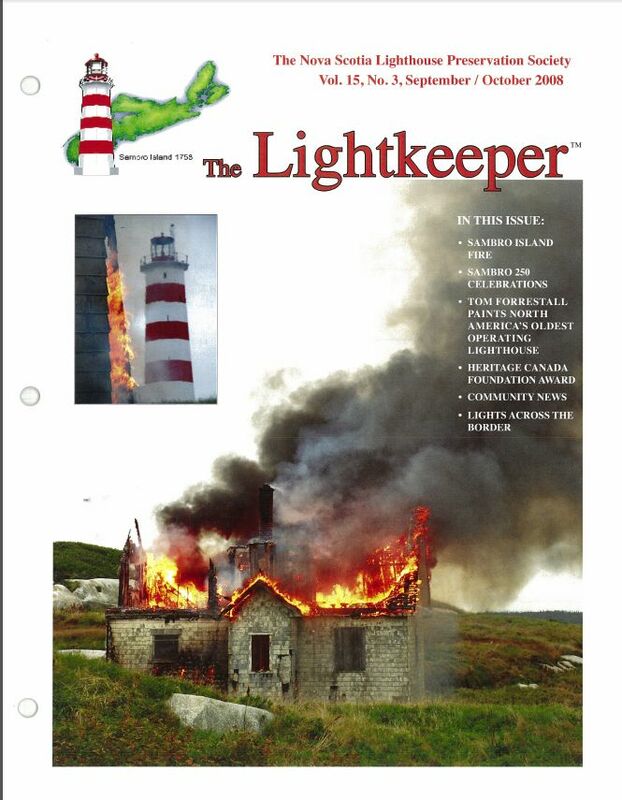 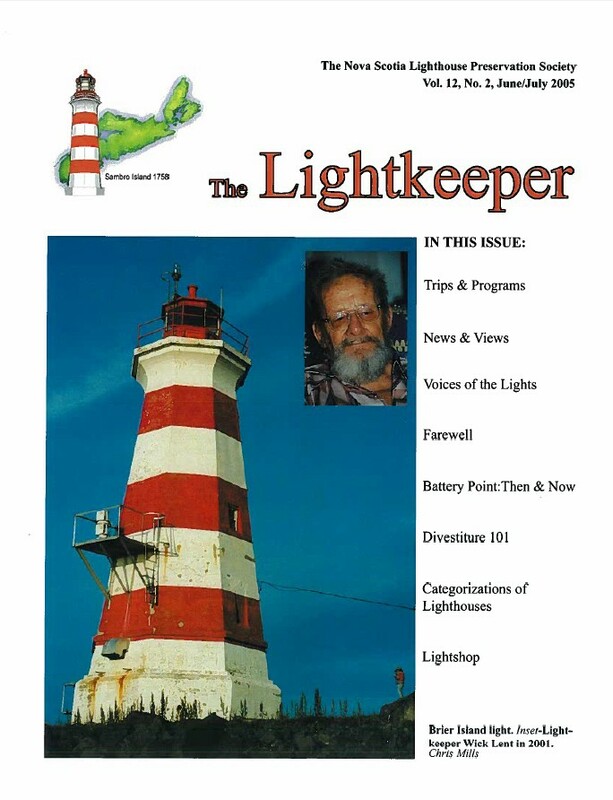 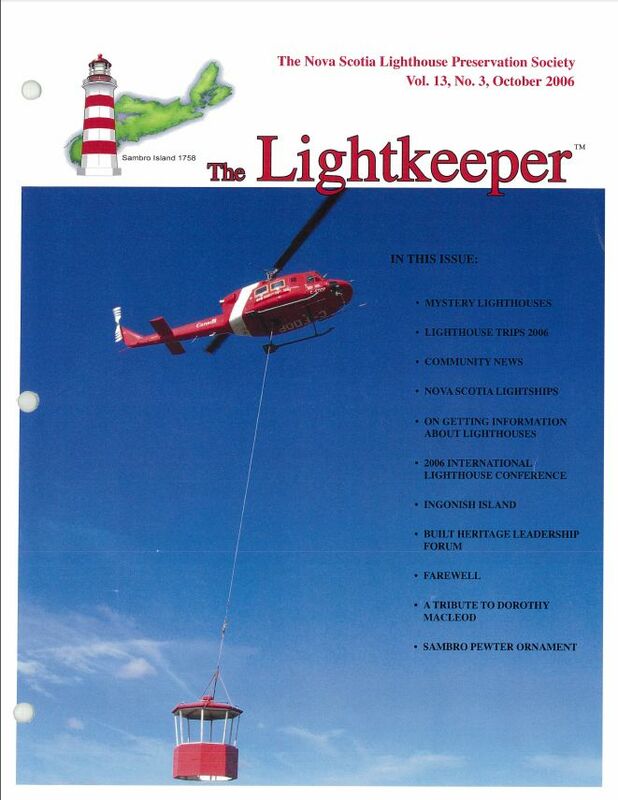 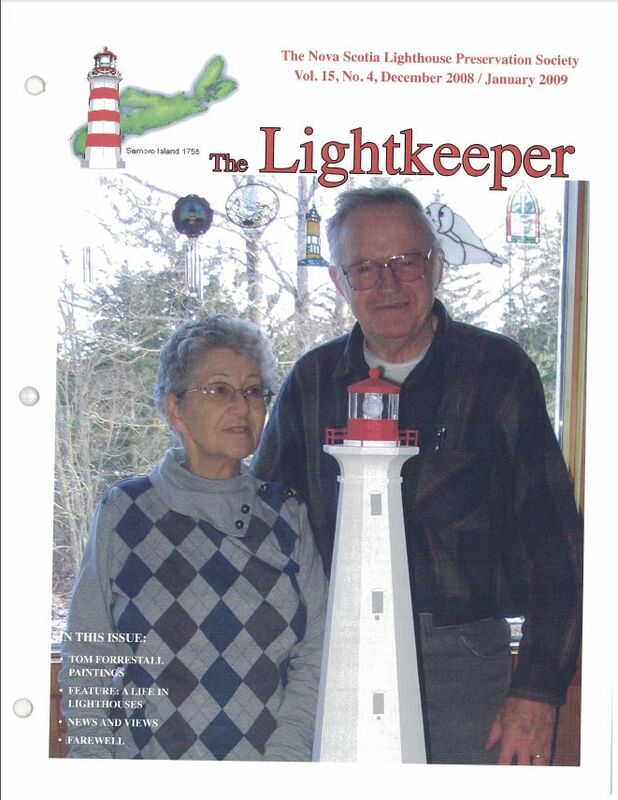 We are proud to be able to provide back issues of our Lightkeeper Magazines in this archive. 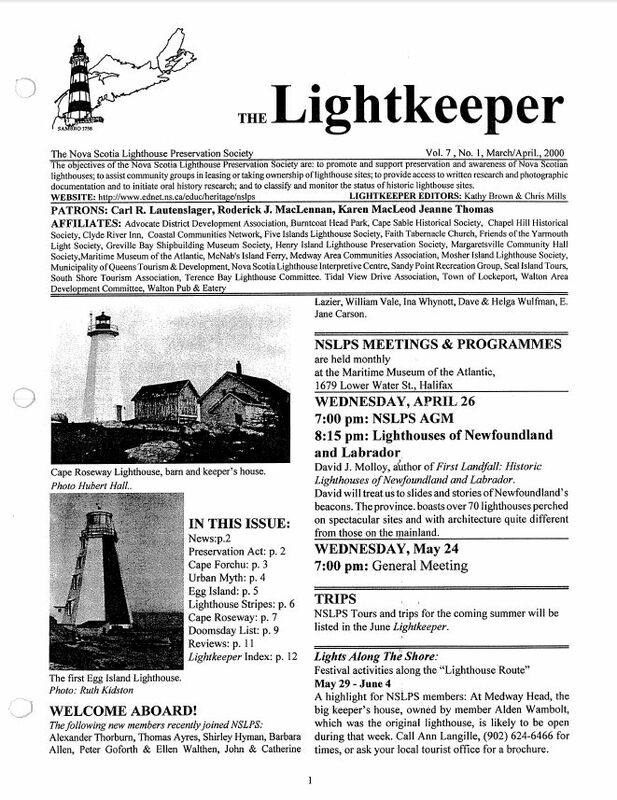 Most back issues are in this archive that stretches back to the very beginnings of NSLPS. 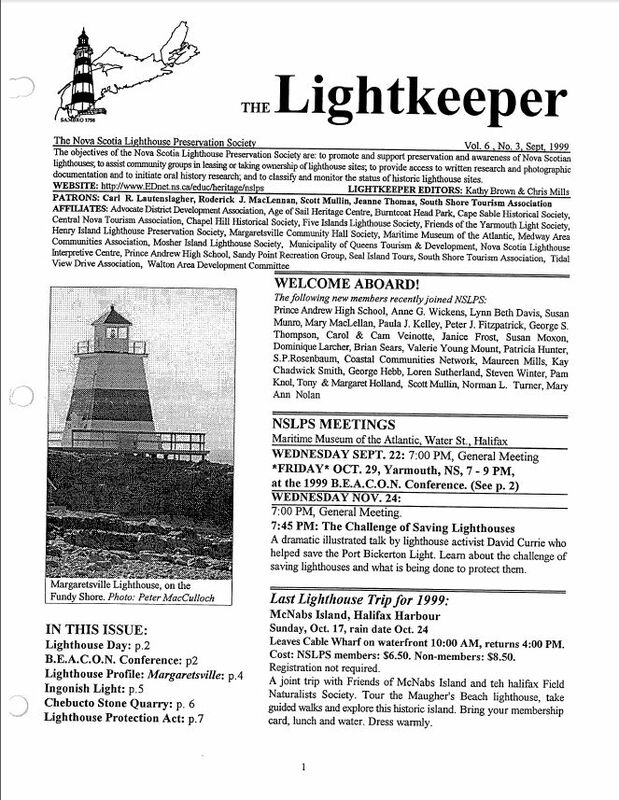 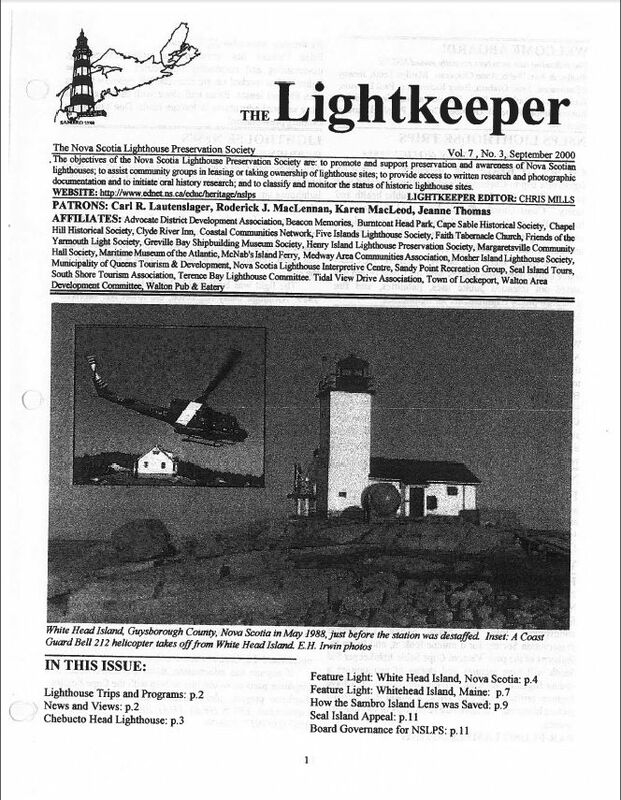 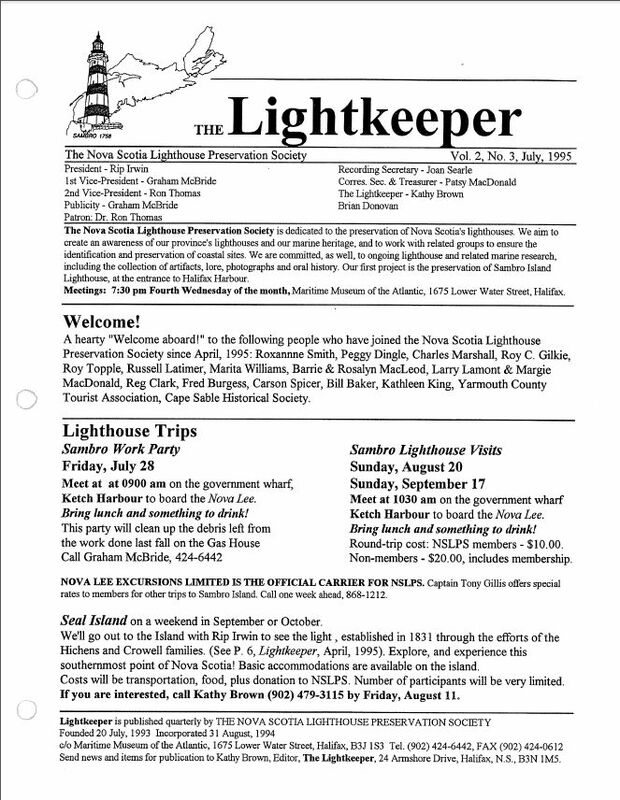 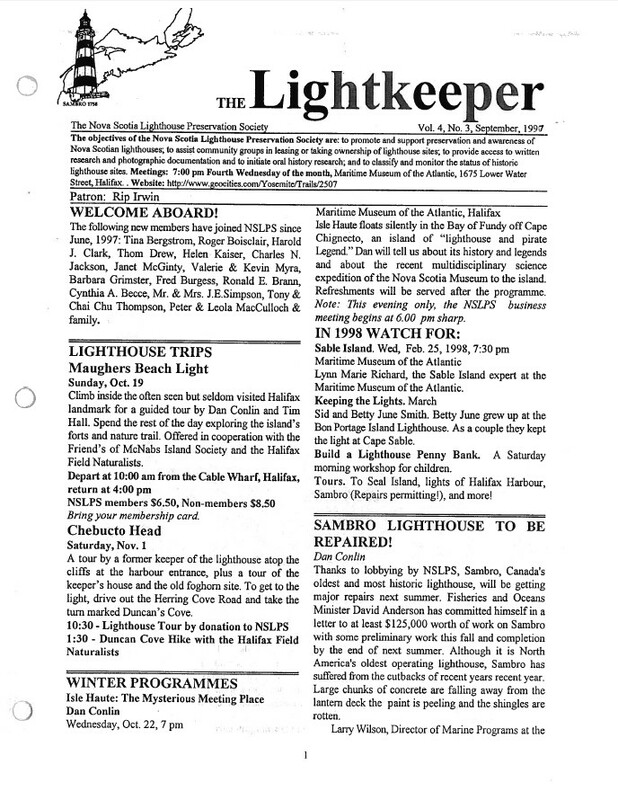 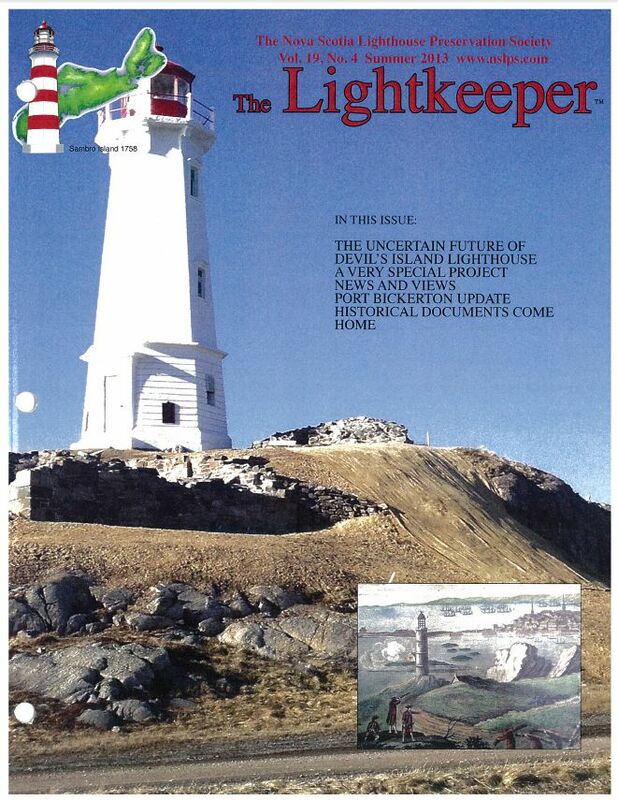 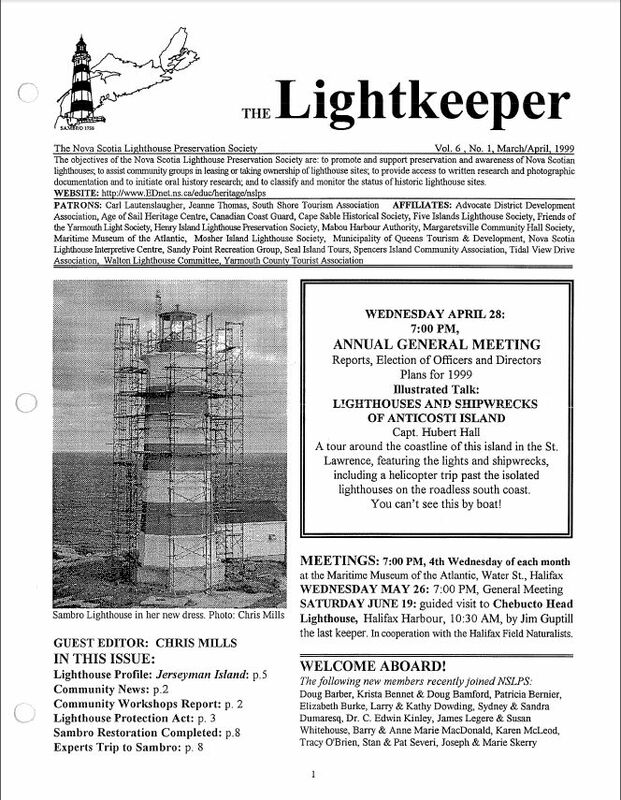 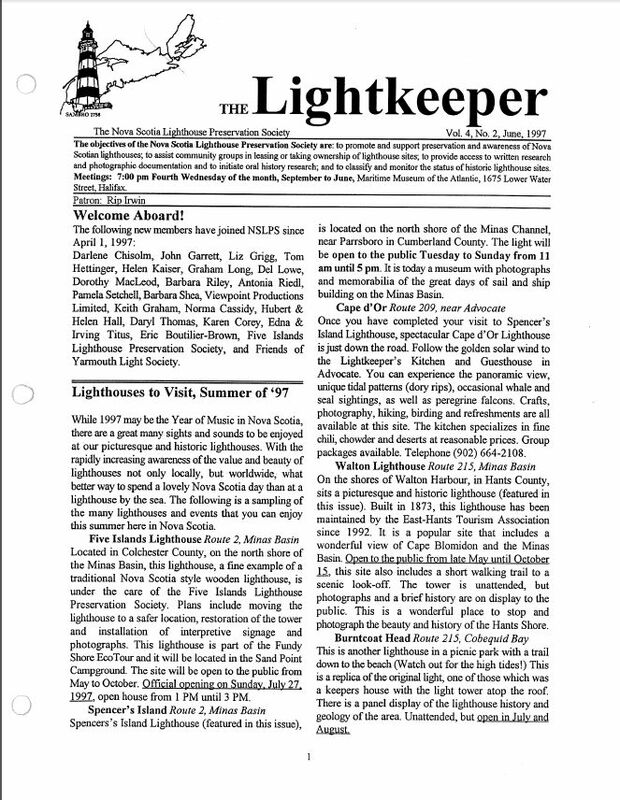 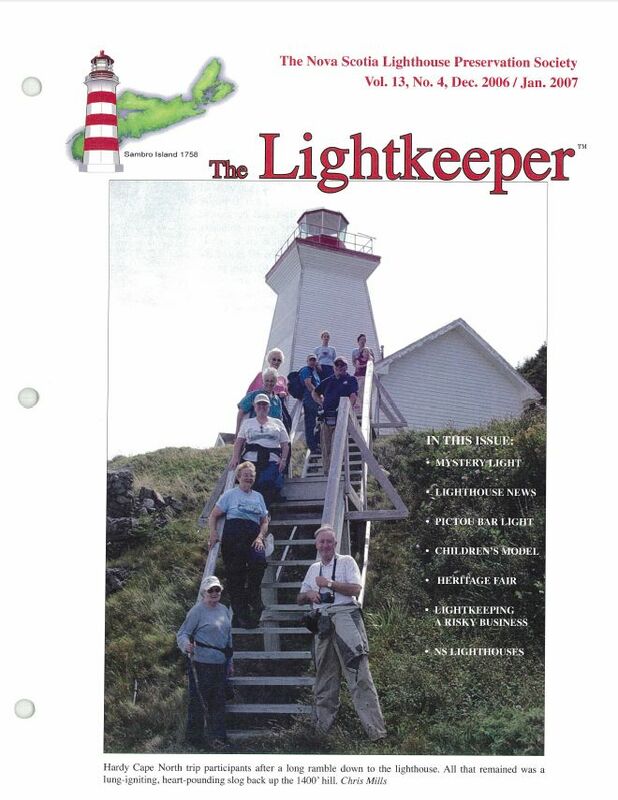 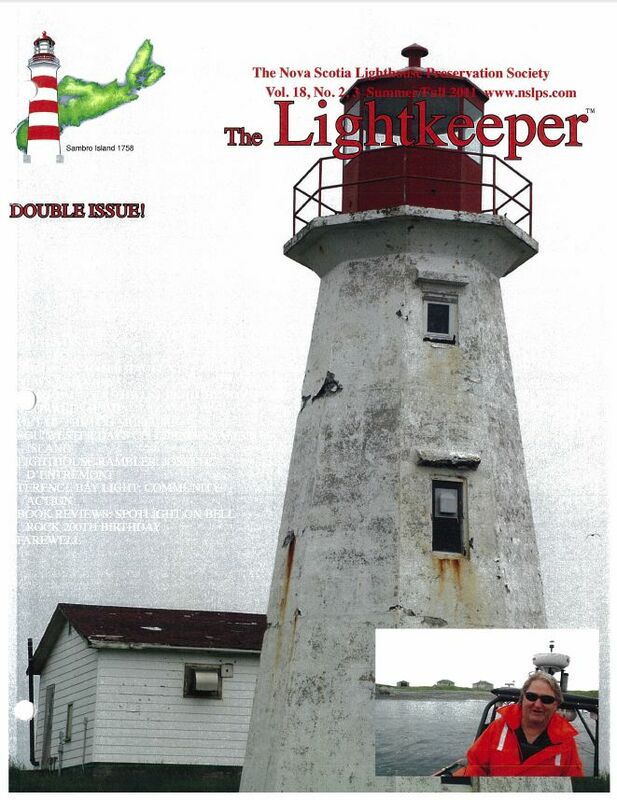 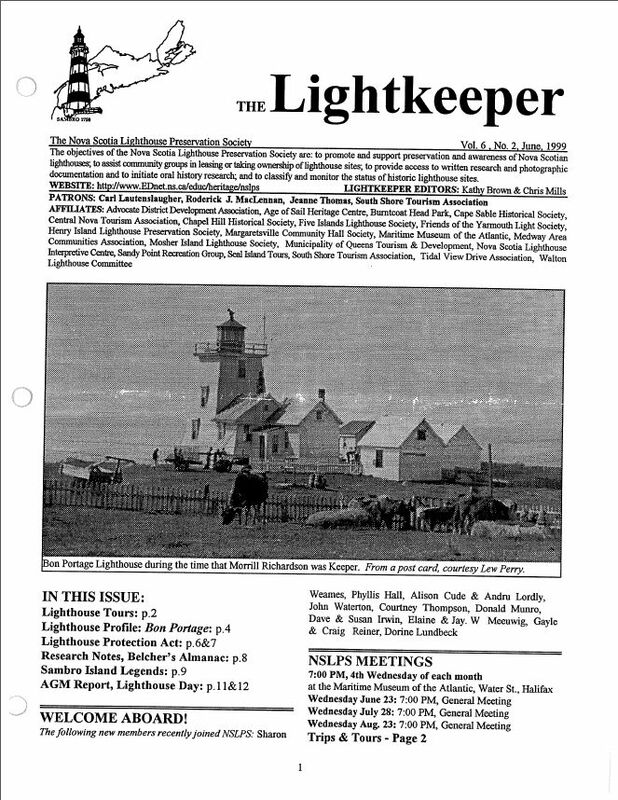 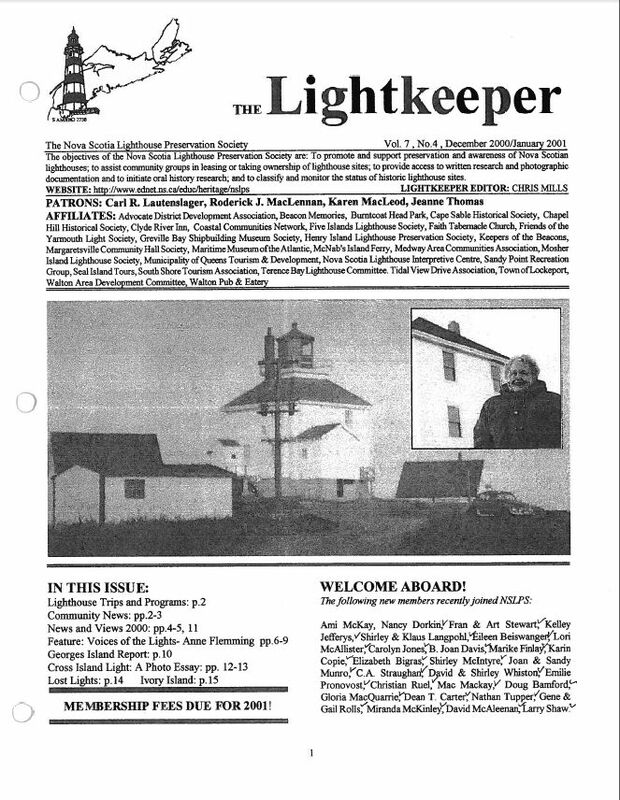 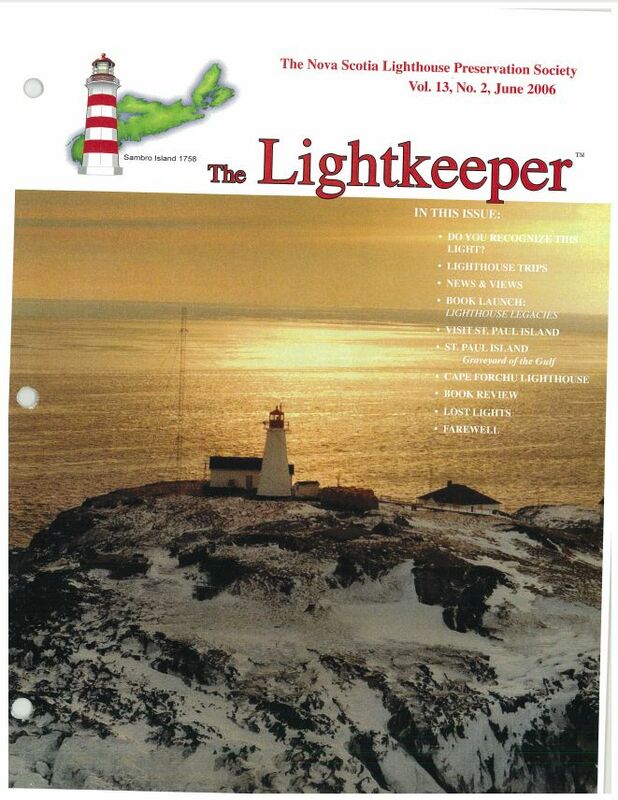 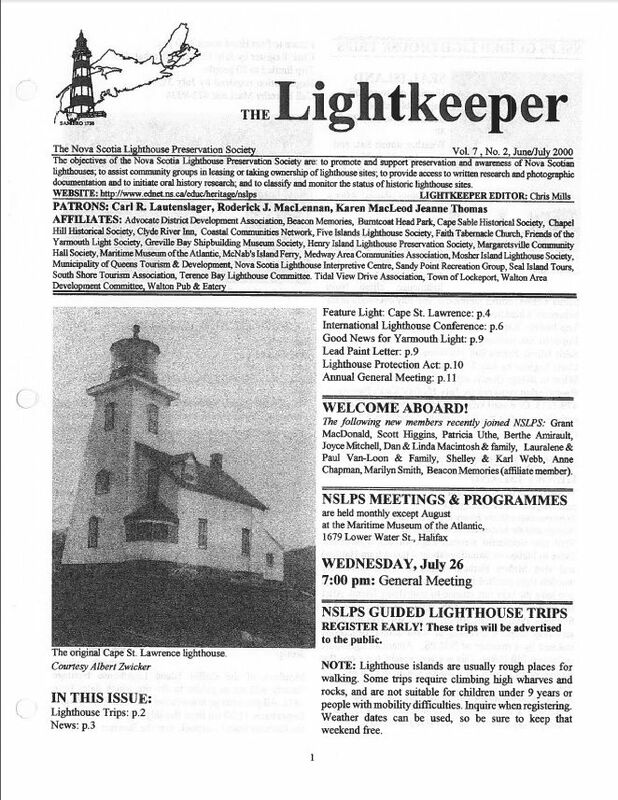 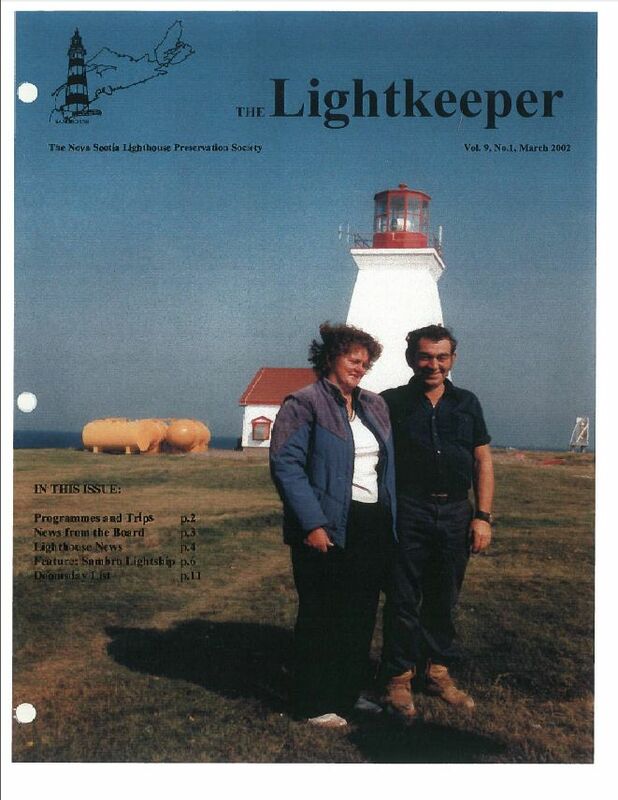 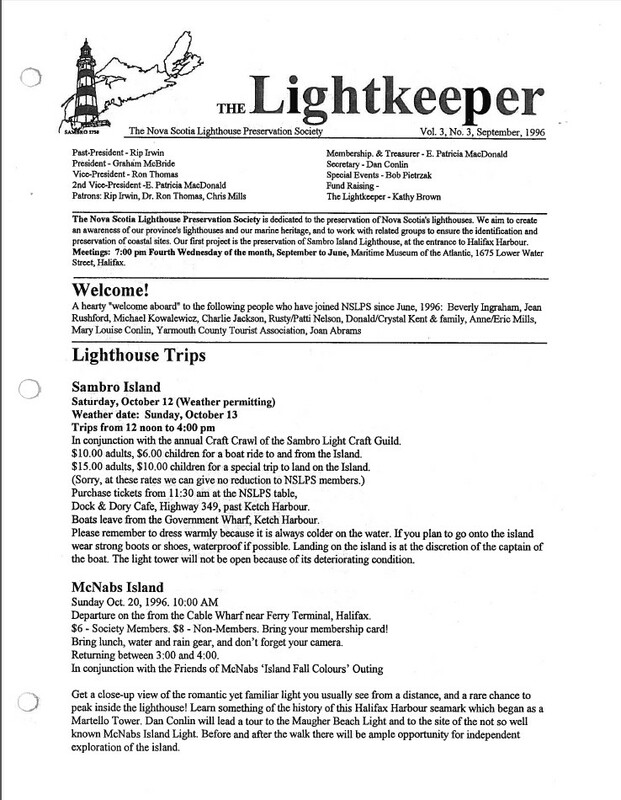 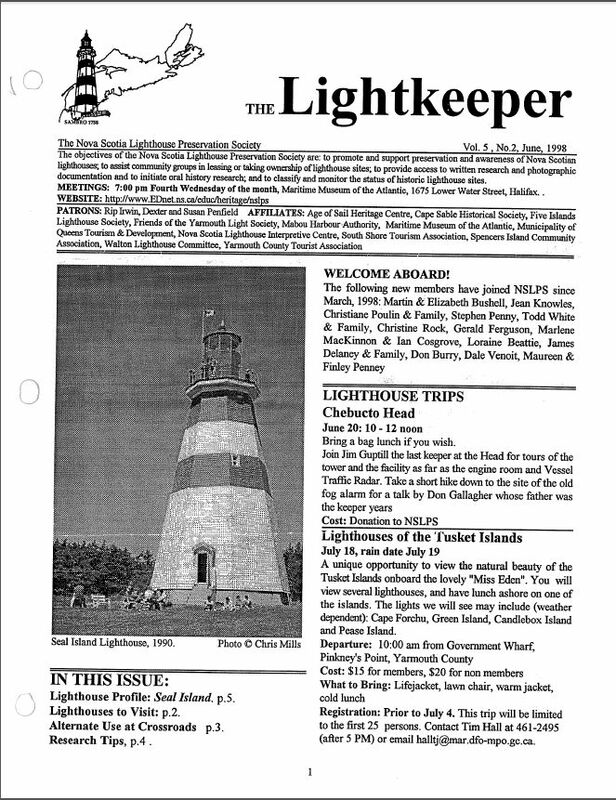 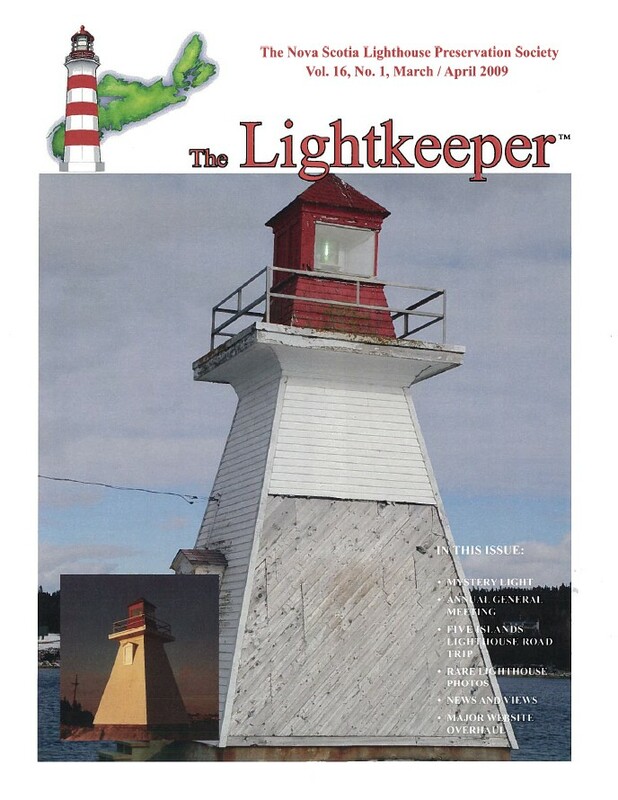 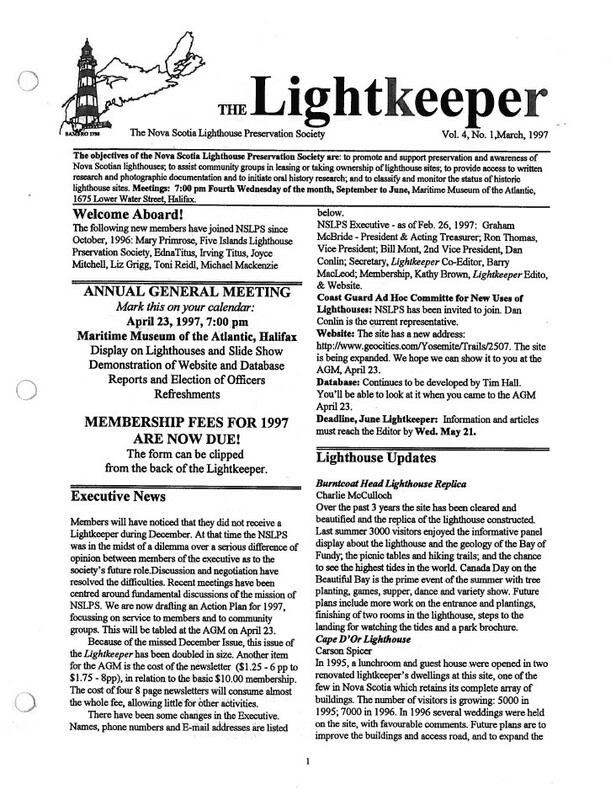 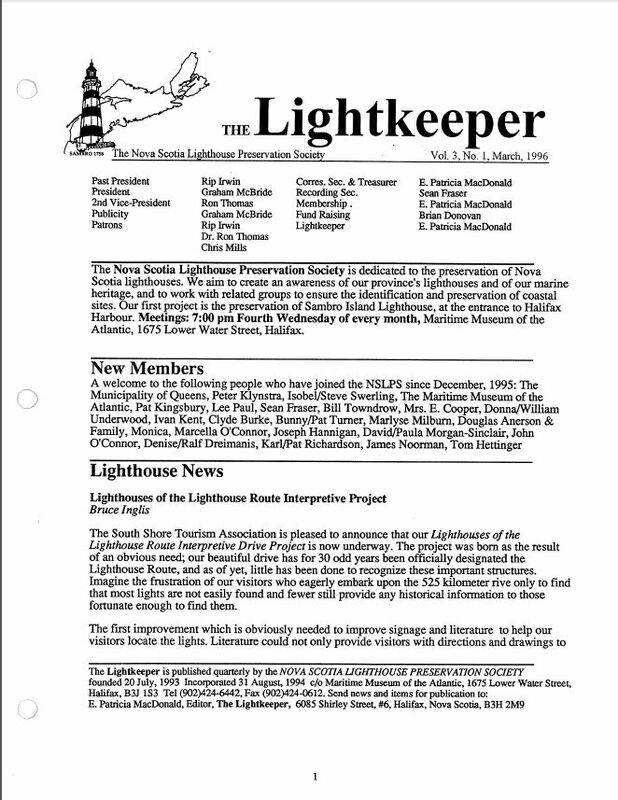 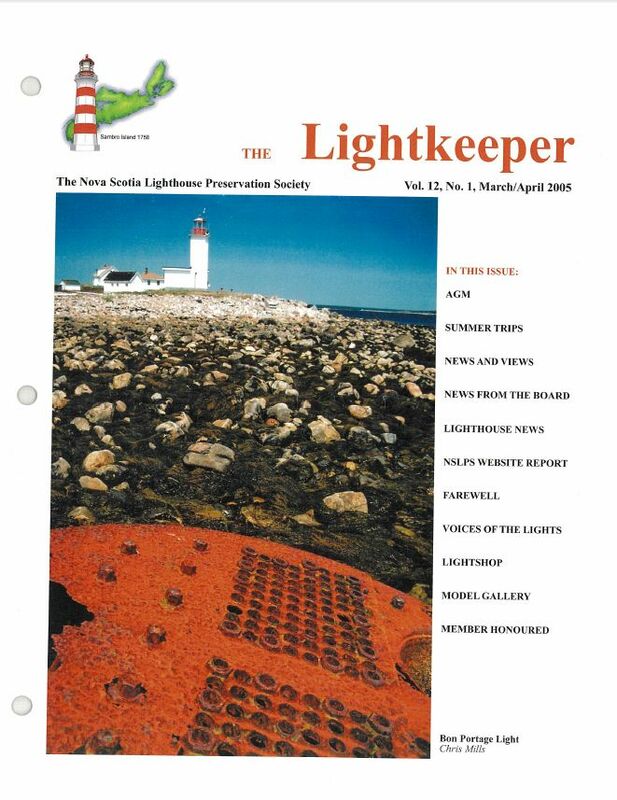 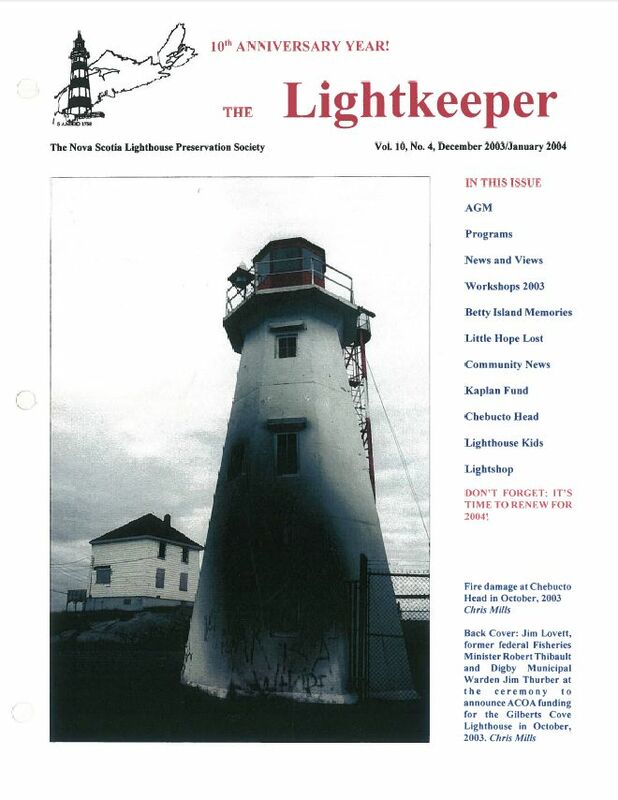 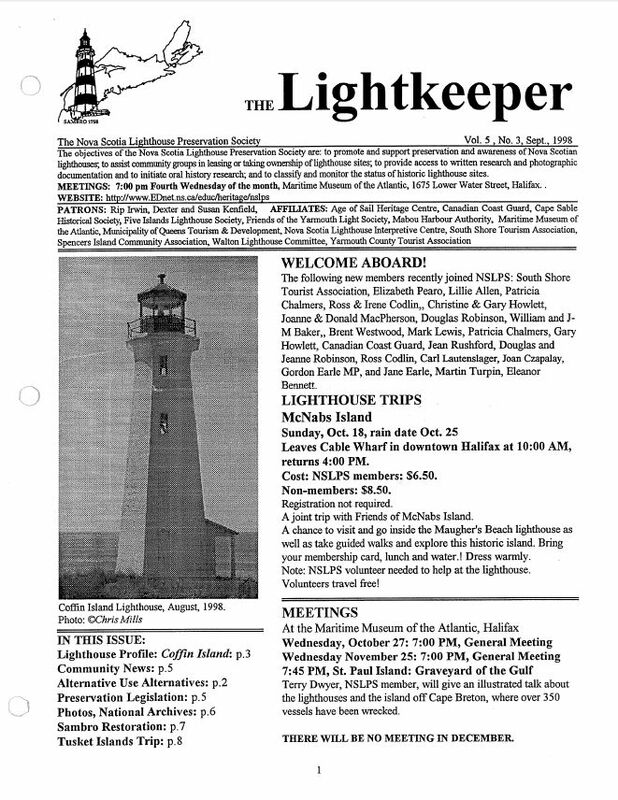 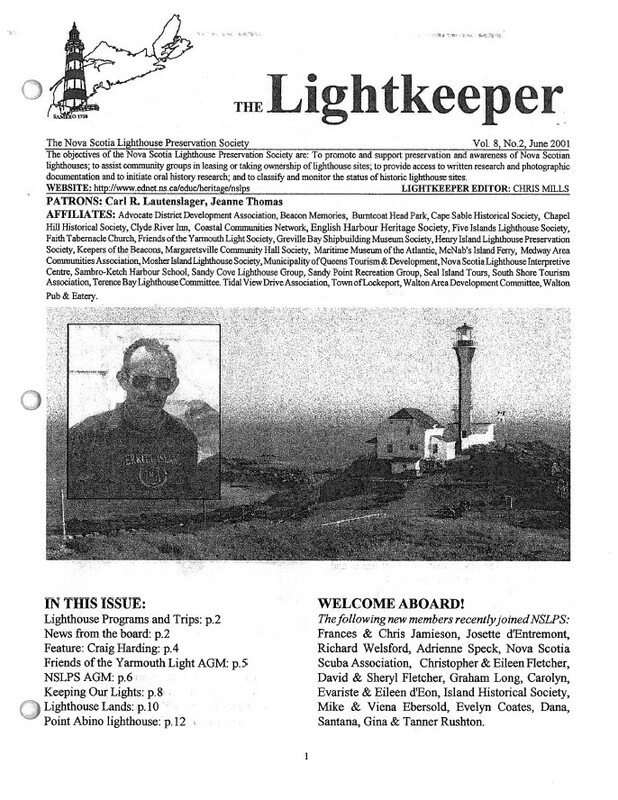 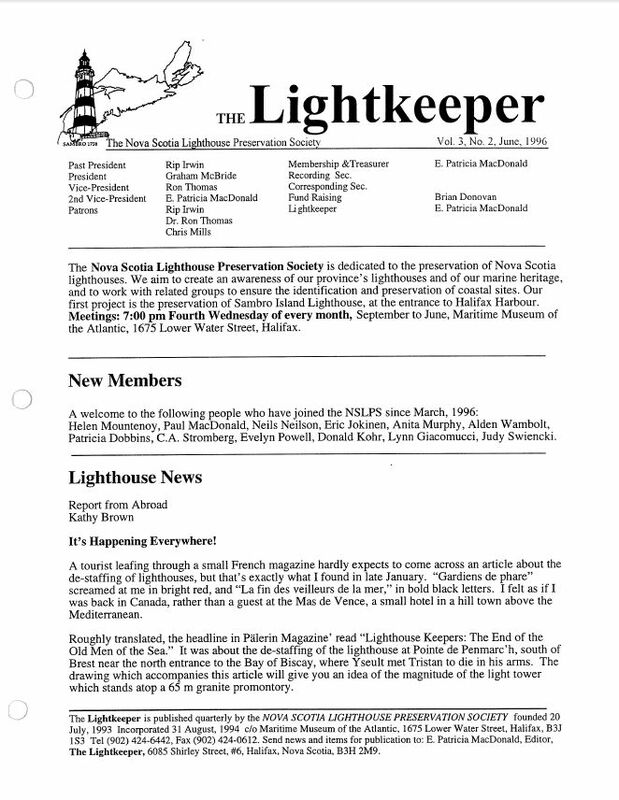 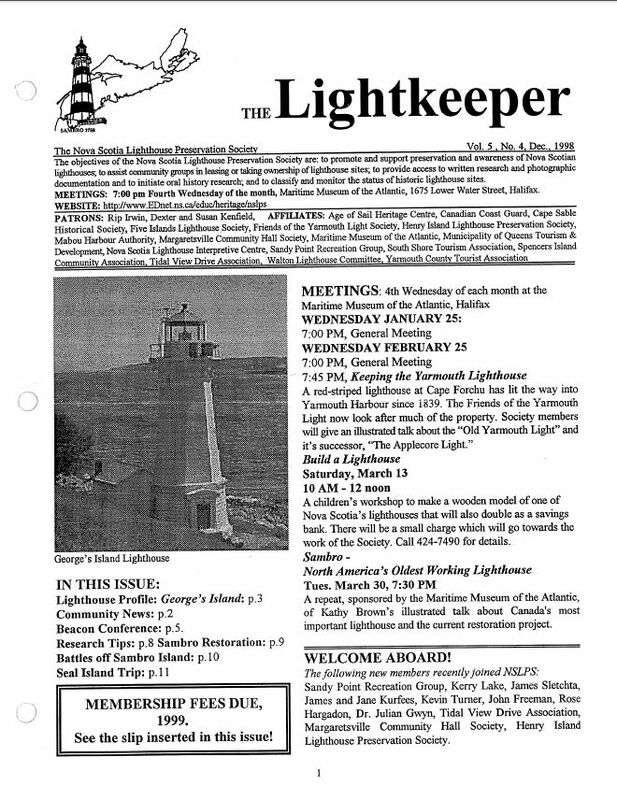 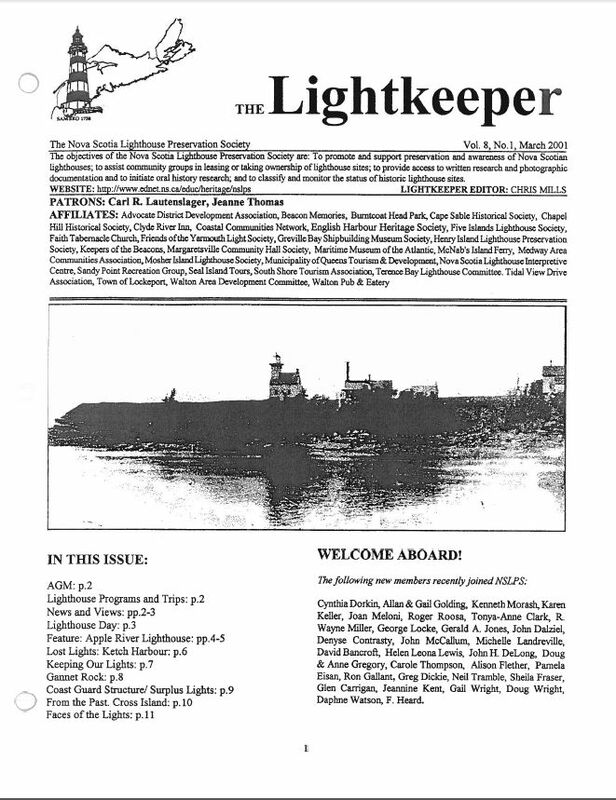 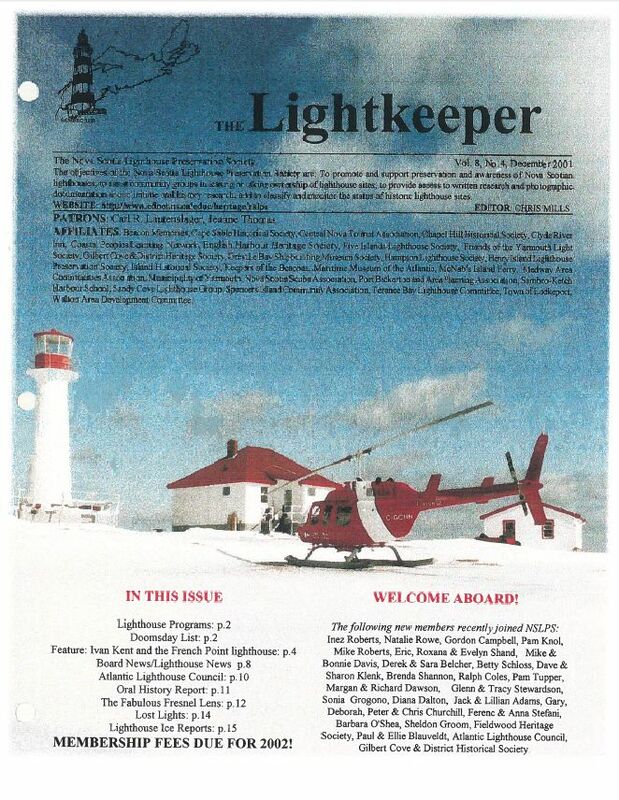 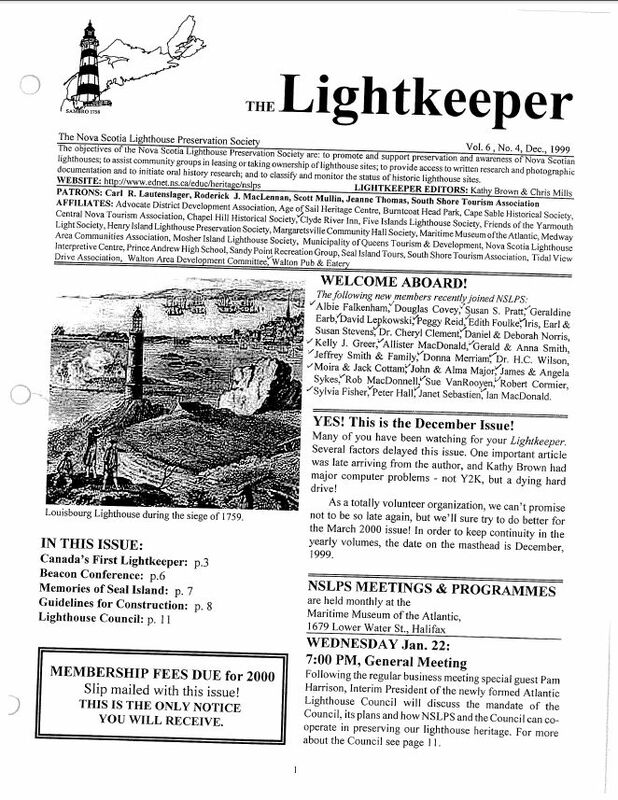 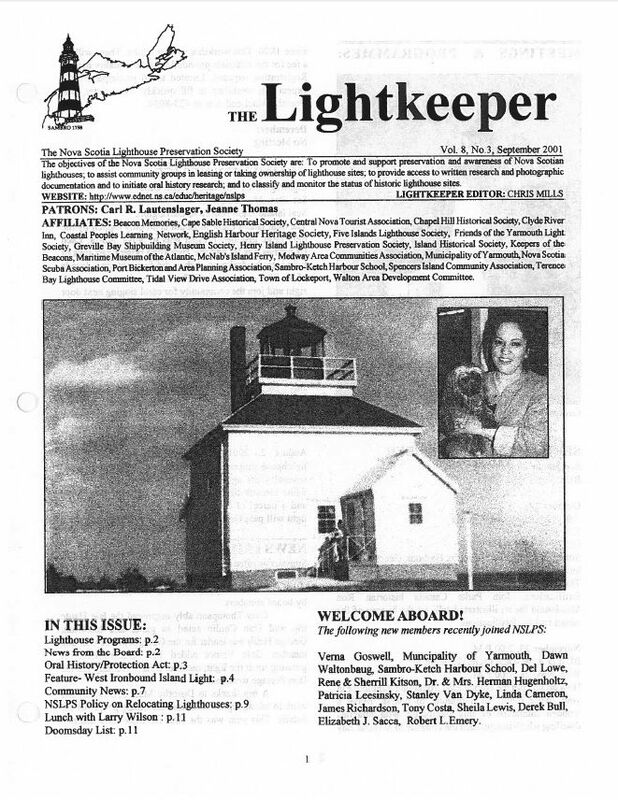 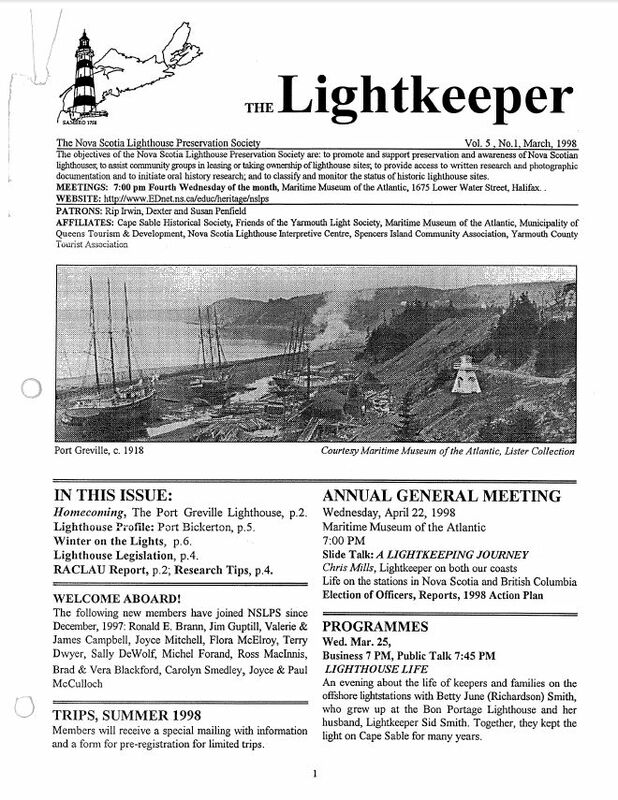 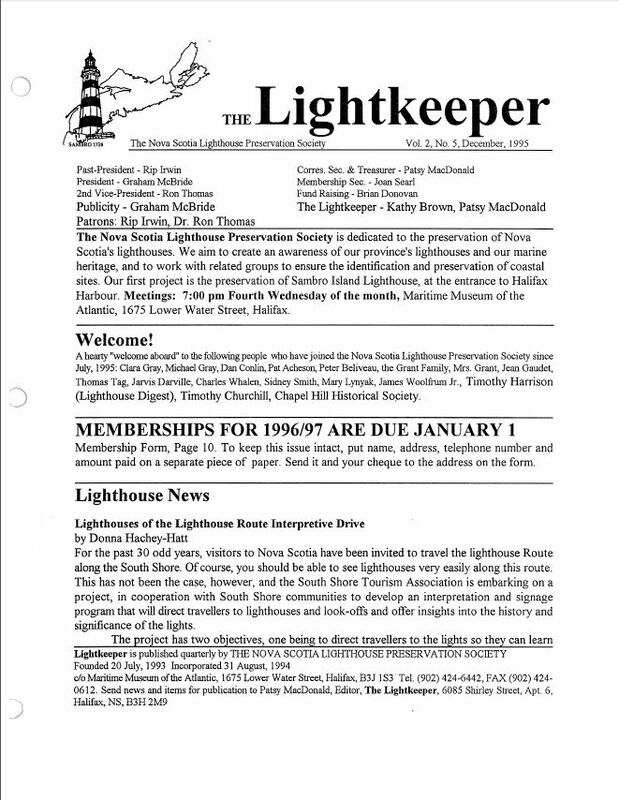 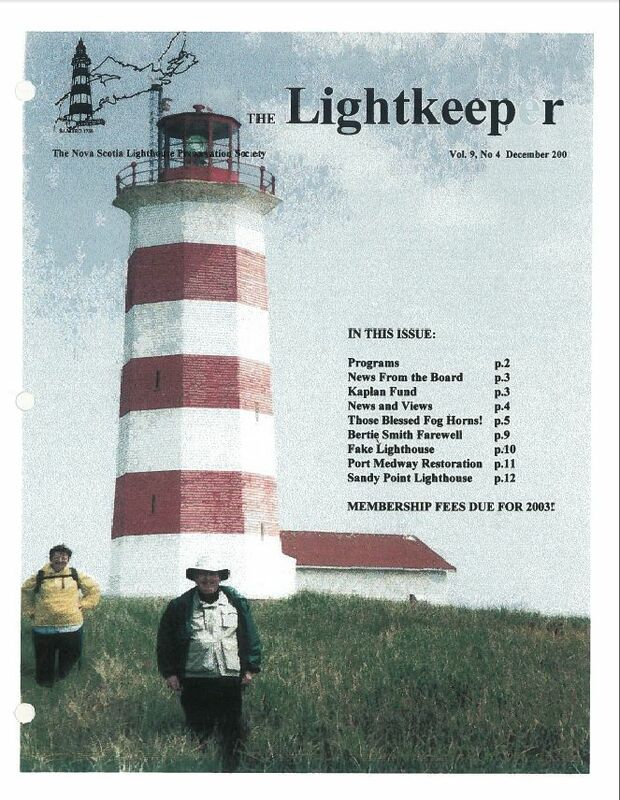 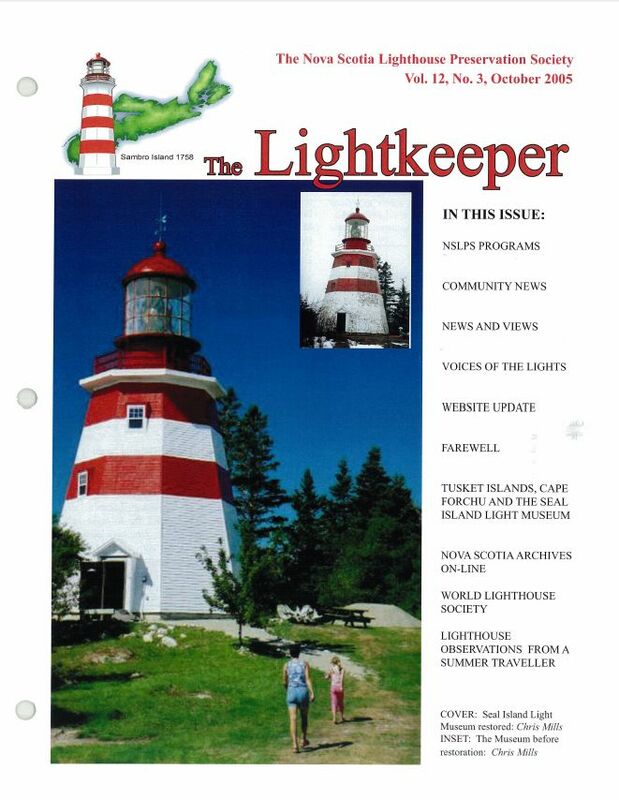 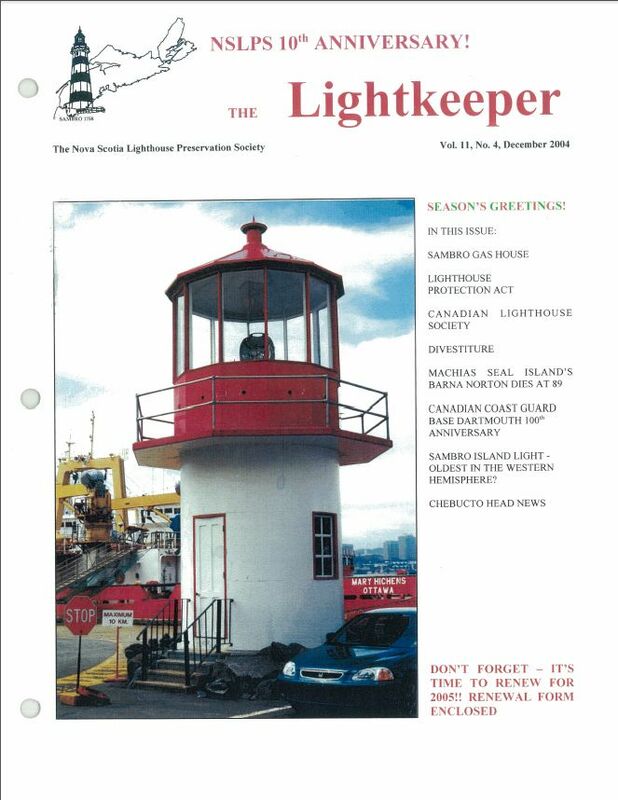 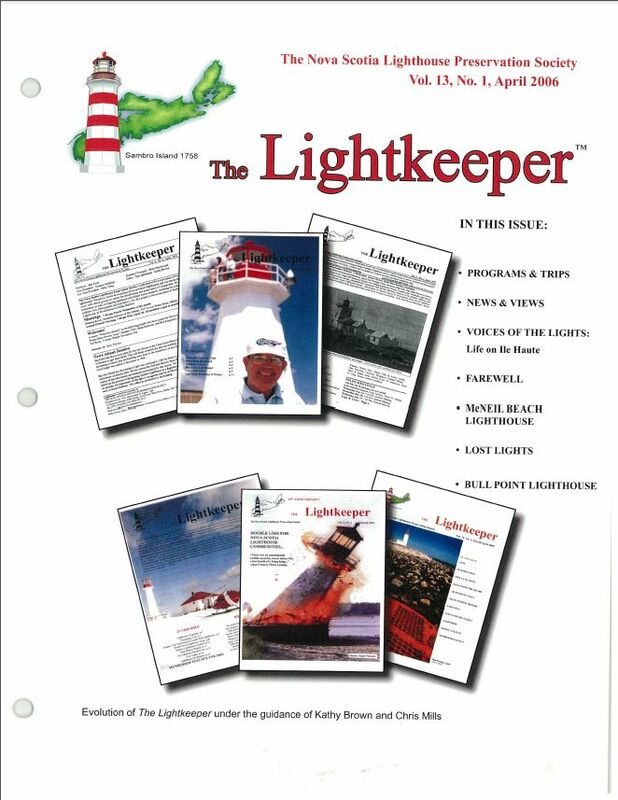 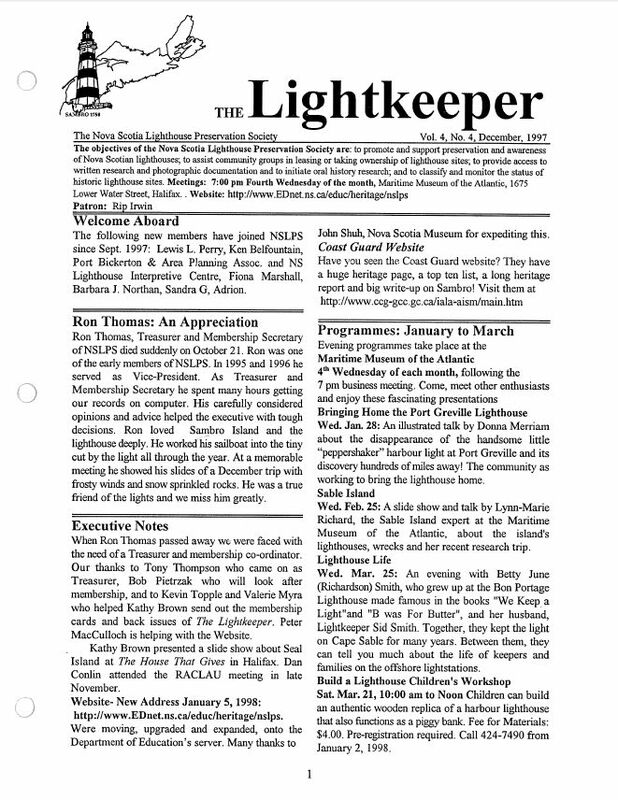 Most years the society was able to issue four Lightkeeper magazines which have become quite popular. 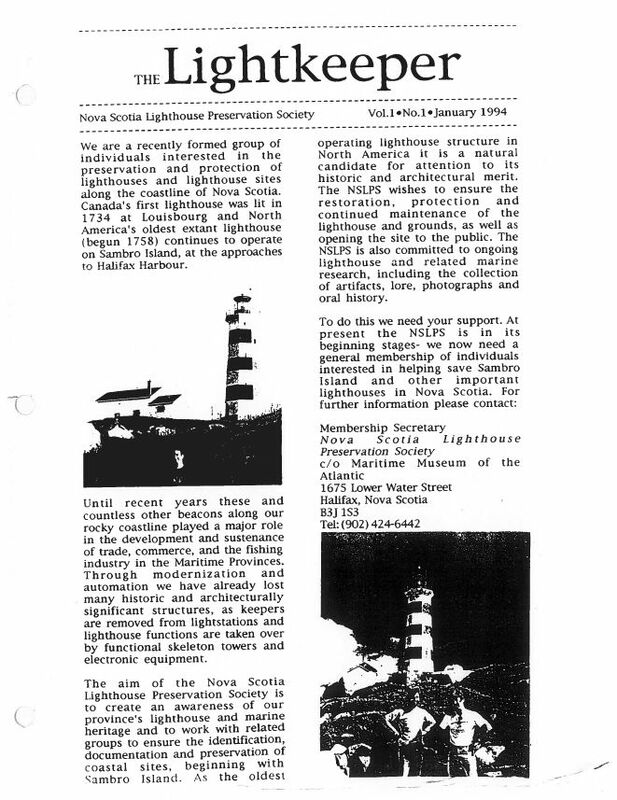 This archive presents facts, stories and images for many of our lighthouses. 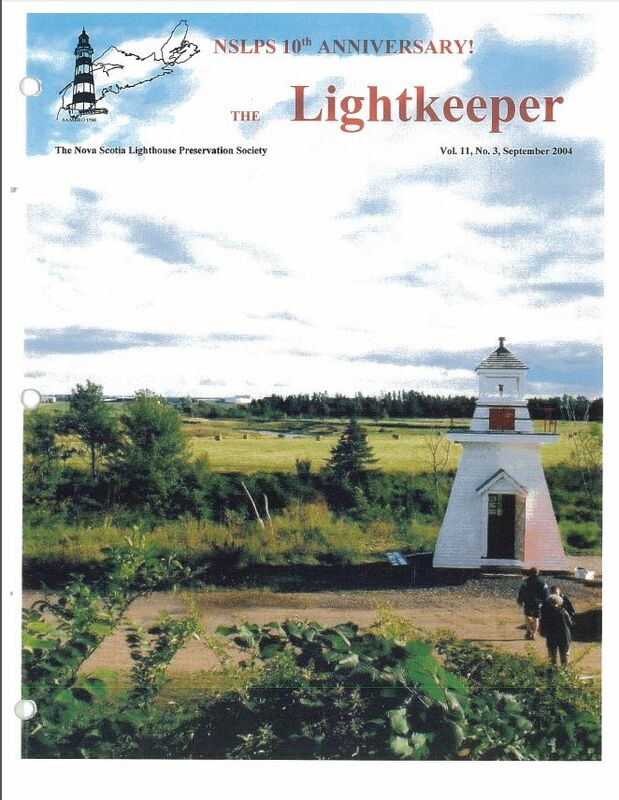 These issues provides a rich history and a great read for all lighthouse enthusiasts.